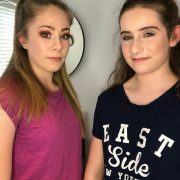 I purchased a makeup lesson for my grandaughter’s 13th birthday. She was very excited and really enjoyed it. Christiane made us very welcome and was lovely to Keira. She explained every step of the makeup application and the finished result was stunning. 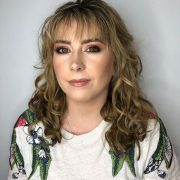 I cannot recommend Christiane highly enough and I have already promised my 11 year old grandaughter a makeup lesson for her 13th. Thank you so much Christiane. 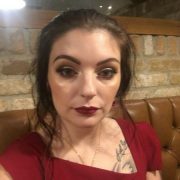 I am a bit of a novice with make up so I had a 1:1 lesson. 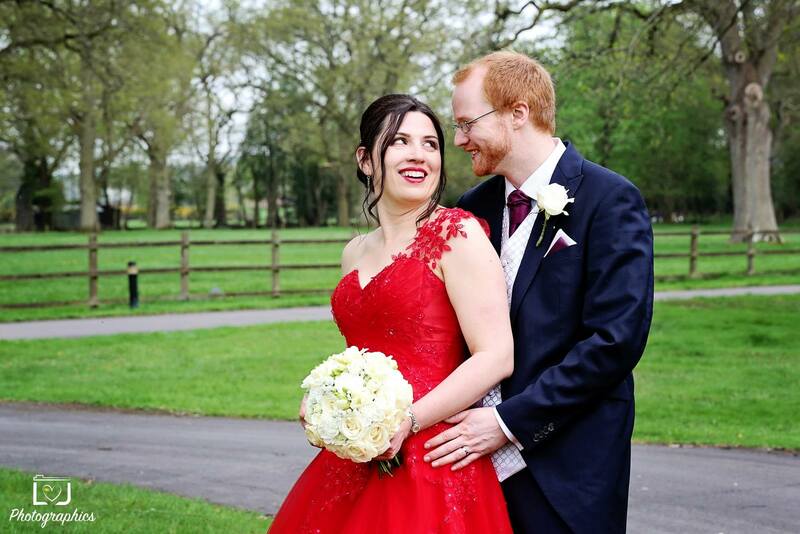 Christiane made me feel very relaxed and I was very happy with the way I looked at the end! Christiane went through each product that was being used and we went through the process step by step. 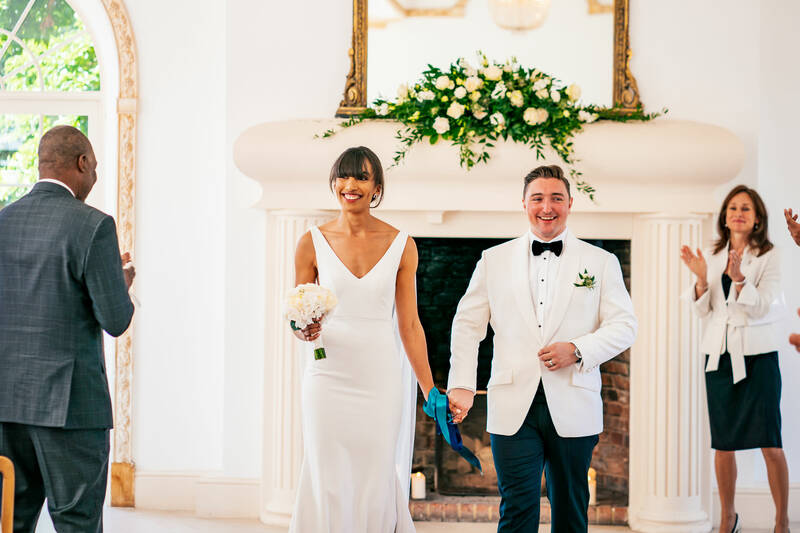 Christiane couldn’t have done a more amazing job! 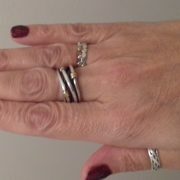 She picked out the colours and products perfectly suited to me, she is incredibly skilled and professional. Would 100% recommend! Christiane Dowling is a very talented make up artist and a natural born teacher. 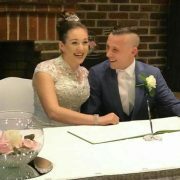 She taught me how to do my own bridal make up, gave me amazing tips and wrote it all down for me which was very useful. Amazing I would highly recommend Christiane such a lovely and talented women!!!! 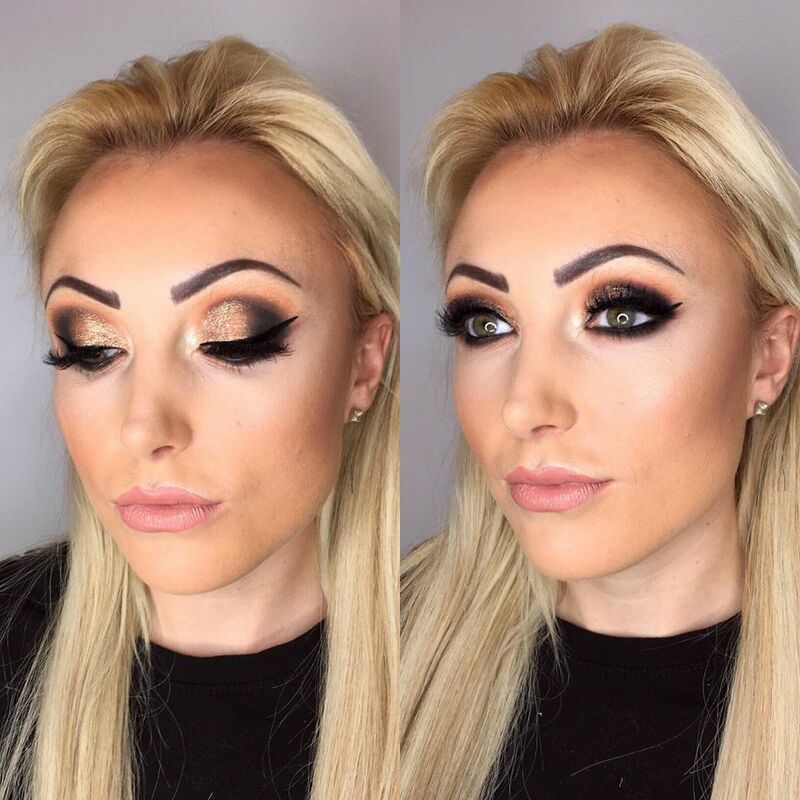 Great studio with SO much choice of make up! Christiane is so lovely and explains everything she is doing. I had a make up lesson as I was stuck in a rut and not really knowing what I needed to do to update my look. 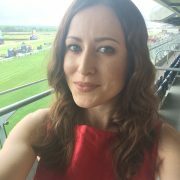 I had a great 2 hours and, as a woman in her early 50’s, came away looking and feeling great and with a whole host of tips to help me. 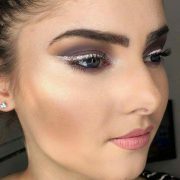 I would highly recommend Christiane as a professional, friendly and skilled makeup artist. 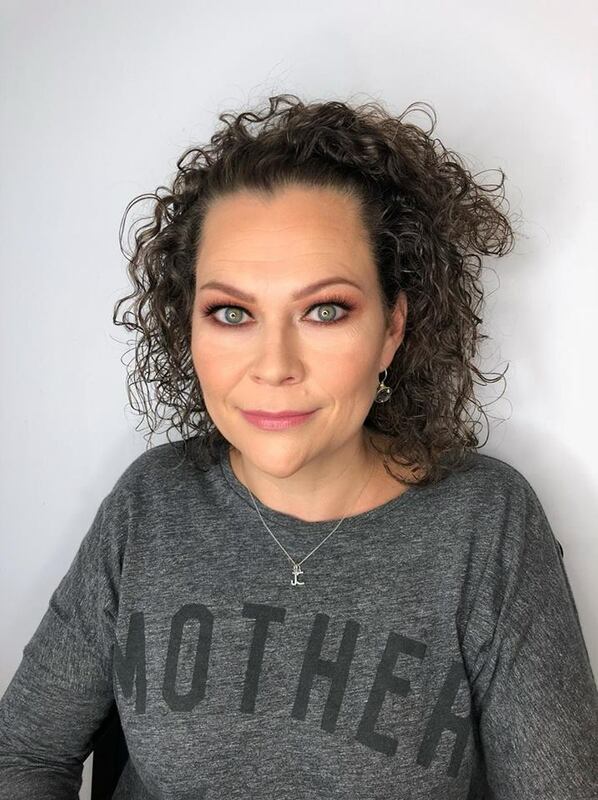 Christiane did a fantastic job with my makeup prior to having a Corporate Headshot. 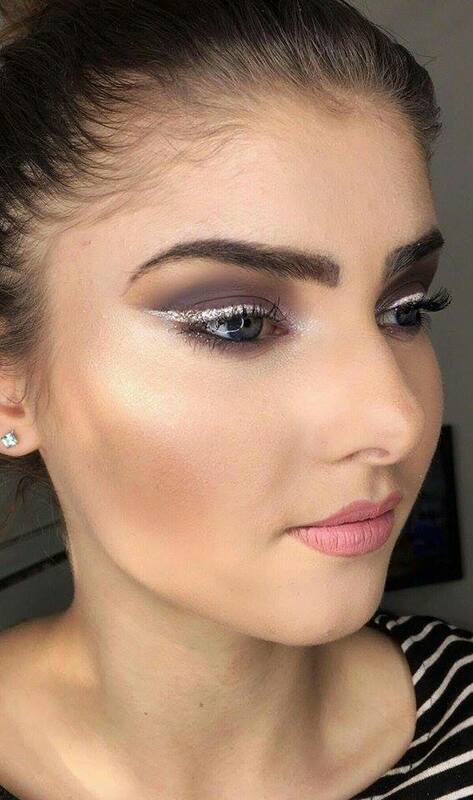 Perfectly applied, it was exactly the look I had asked for to give a polished, daytime look that wouldn’t fade away under the strong camera lights. 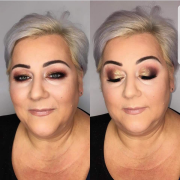 I thought it looked great when Christiane had finished, but when I saw the results in the photo’s I was amazed. 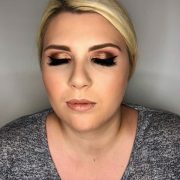 I would have never been able to achieve that myself, although Christiane has inspired me and I am going to be booking again for a make up lesson. 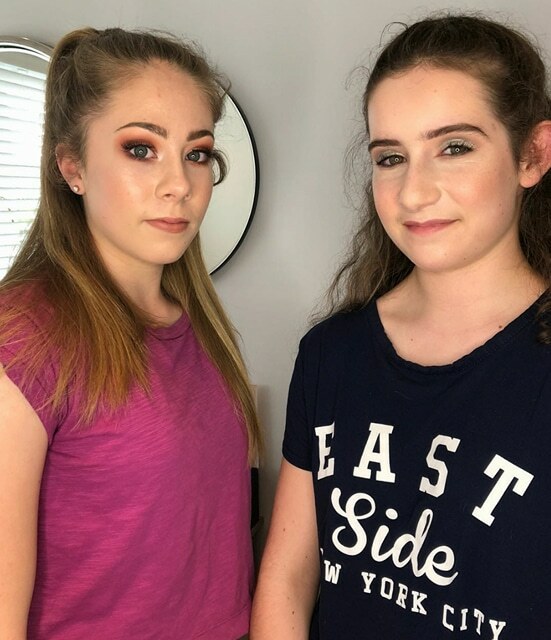 My sister and I had a lovely make-up lesson with Christiane today. Learned so much and left feeling confident that I can reproduce the look myself in the future. Can’t recommend highly enough. 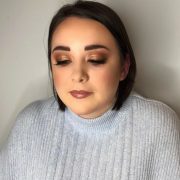 Christiane did my makeup yesterday for my birthday and I absolutely loved it! 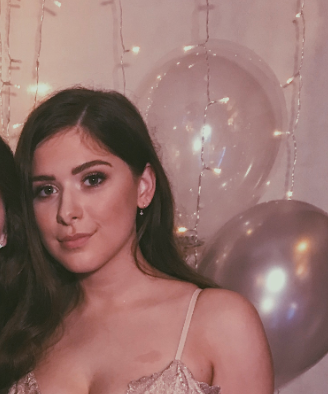 My makeup was perfect – not a thing that I didn’t like or would’ve changed. Really friendly and easy to chat to which is great. 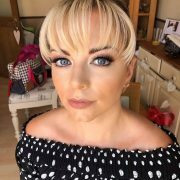 Christiane uses high end products and has an extensive range of eyelashes to choose from which is perfect. 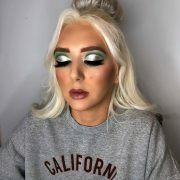 I’ll definitely be asking Christiane to do my makeup for future events. 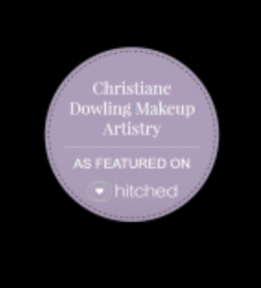 Had I not already arranged my bridal makeup a long time ago, I would definitely have considered Christiane to do this! 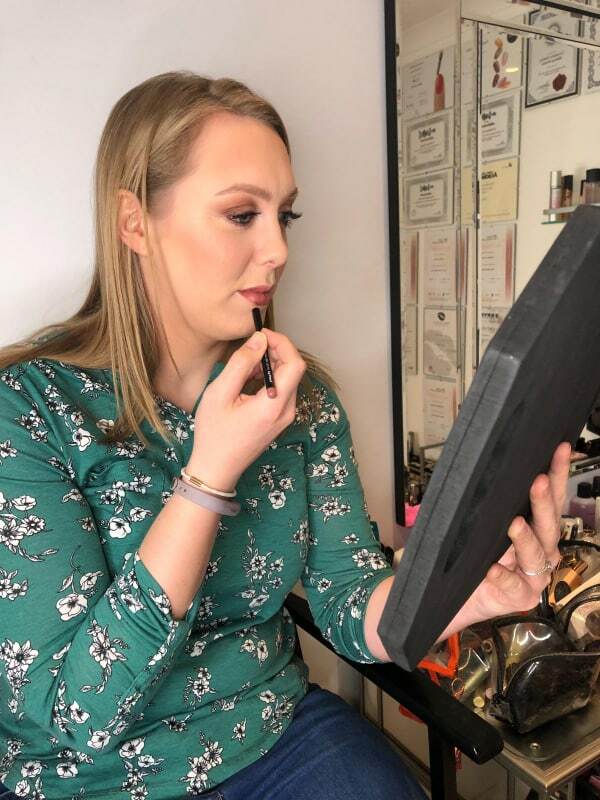 I had my first ever make up lesson with Christiane this weekend a present from my husband and I couldn’t be happy enough. 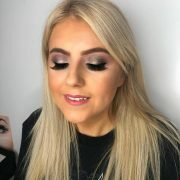 Christiane is very professional and thorough and cleared all my doubts and questions, I can’t wait to apply the skills she has taught me and I must say I had many compliments on the make up she did from friends and family and even people in the town stopped to compliment me on my eye makeup that Christiane did. I would love to use her for an event soon. She is brilliant! Christiane was amazing. I loved my makeup. It lasted all night and I got loads of compliments. I can’t wait to use her again! Christiane was amazing. 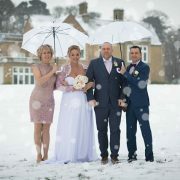 So lovely and professional, she listened and nothing was too much trouble. 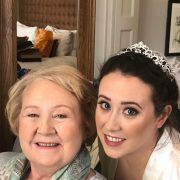 Both my mum and I had never had our makeup done before and she made the whole process fun and kept us looking like us but glam. Would recommend to anyone!! 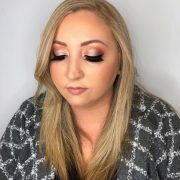 Christiane was very professional and my makeup was perfect! Exactly what I wanted and lasted all night, received so many compliments on my eye makeup. Would highly recommend. 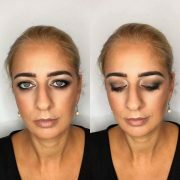 I had a really informative lesson from Christiane where she taught me the various steps with blending eyeshadow and contouring my face. She is very friendly and extremely knowledgeable, making you feel at ease from the moment you enter her house. I would definitely recommend her to anyone! Christiane did my make up for a 1920’s themed party. I was really happy with the result and I felt beautiful. I would definitely recommend Christiane. Absolutely delighted with my Make-up. Christiane is extremely professional and a very talented lady! I felt a million dollars ! 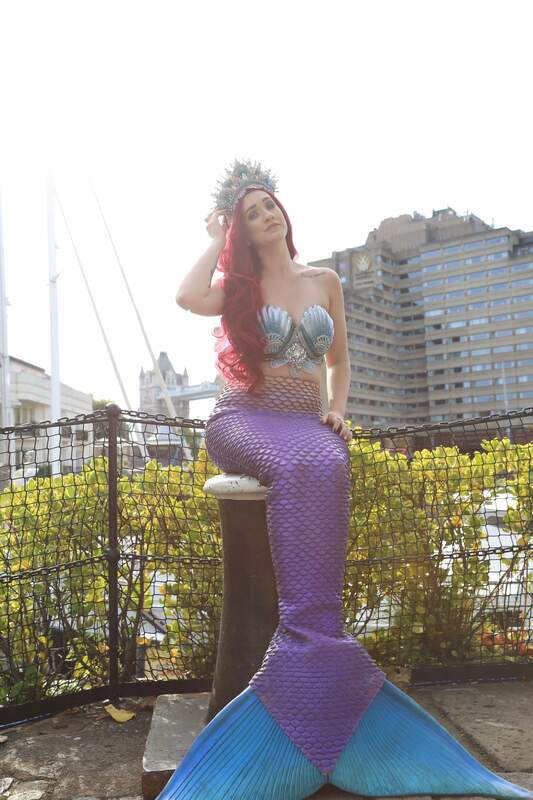 I had so many compliments at the event I went to! 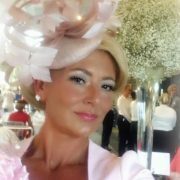 I will recommend Christiane to everybody ! 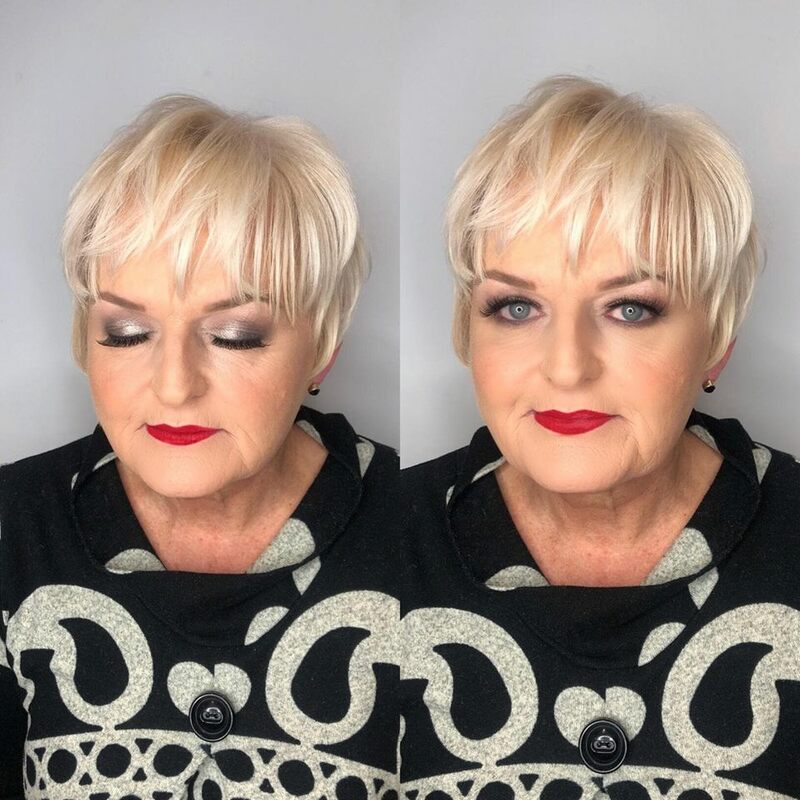 Christiane is highly skilled and very professional, she listened to the ideas that I had and suggested different options that produced such a glamorous flawless look for my Christmas party! 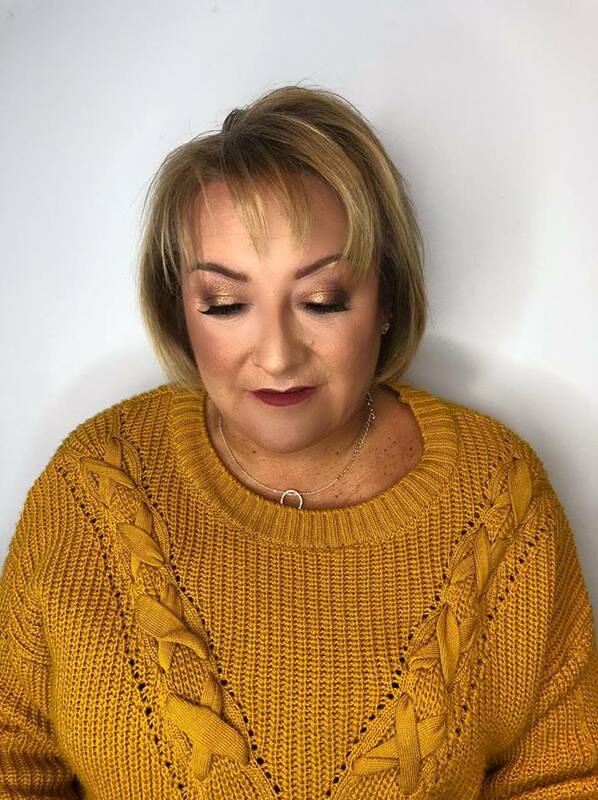 The products she used were really lovely on my skin and also a great colour match, Christiane has a good range of lashes too, her make up studio is every girls dream! Christiane was amazing! I would highly recommend her, a very talented women! 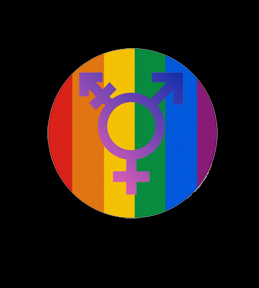 I’d been looking for a professional makeup lesson from someone with an open attitude towards the LGBTQ+ community (specifically trans and gender diverse people) for a while, and Christiane was very welcoming and friendly. I came away from the lesson with lots of helpful tips, suggestions and advice. I would highly recommend her. 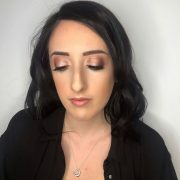 Christiane is so professional, absolutely loved my make up and received many compliments, highly recommend! Christiane did my make up for my wedding and it was exactly what I wanted for my big day. I felt amazing, the look really worked with my dress and hair style and it lasted all day. 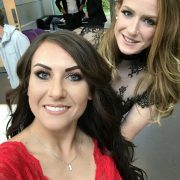 I felt amazing and she is one of the loveliest people I’ve ever met! 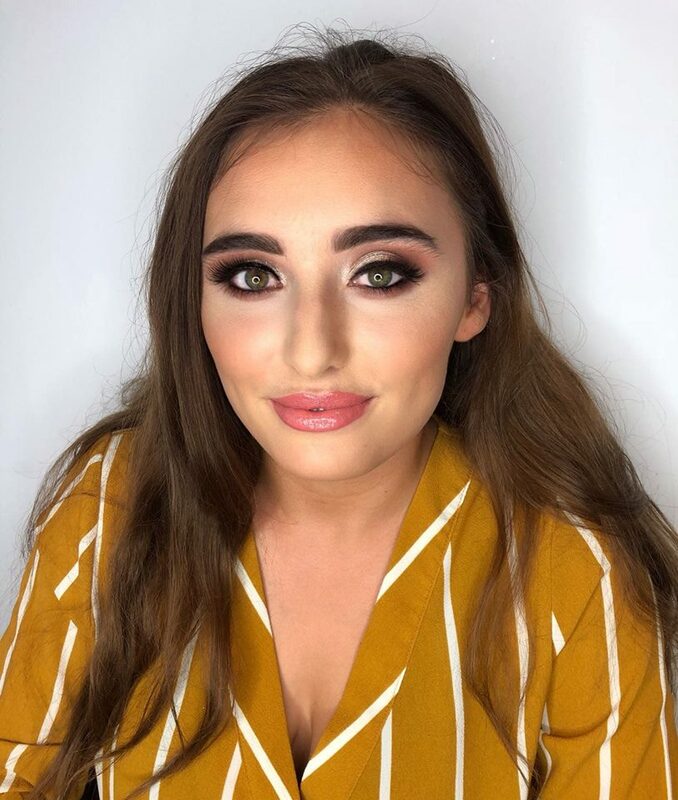 Christiane did my makeup for my 18th birthday party and she was amazing. She makes you feel super comfortable and at ease and really listens to what you want. I would 100% recommend her services for any event and will definitely go back to her in the future if I ever need my makeup done again. 10/10 would recommend! 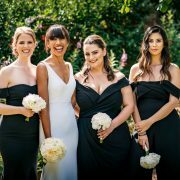 Christiane did my daughter’s bridesmaids in July and did a fantastic job. 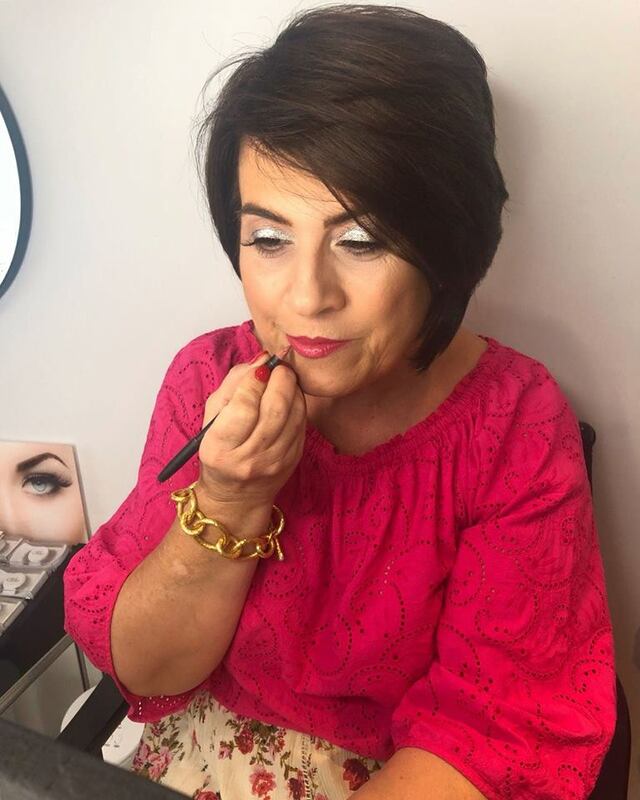 I decided to book Christiane for a make up lesson and it was such a great experience, she not only made me feel very comfortable I loved what she taught me . 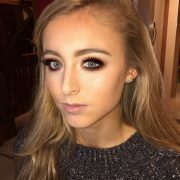 Highly recommend this lovely young lady. After researching and contacting hundreds of make up artists for my bridal make up I came across Christiane who stood out from all of them with how professional I thought she looked. I was definitely not let down. 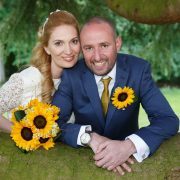 From start to finish Christiane has made me feel special and will advise on questions I have within moments. She is completely professional with personal touches. 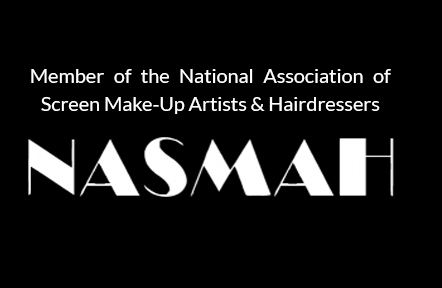 Christiane took time to listen to mine, my mum’s and my sister’s visions on our own make up and made it become reality. She really did take time and care for all of us and went above and beyond with her service. 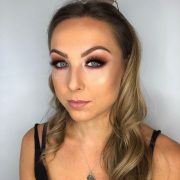 I really can’t recommend Christiane enough as you can clearly see she puts 100% effort in everything she does and has a clear passion for make up, not just treating you as the next client. 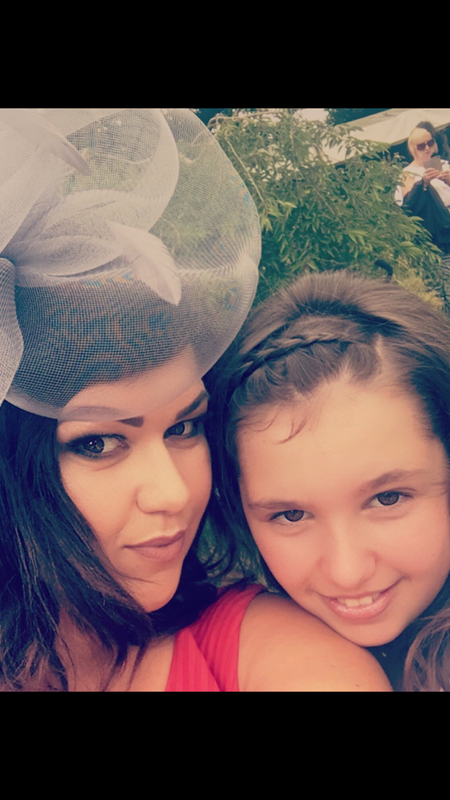 Thank you for helping make my day that extra special and I really hope that an occasion comes up so I can book an appointment with you again. 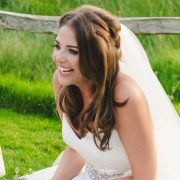 Very happy with the services provided, Christiane is very talented and I couldn’t recommend her more highly! 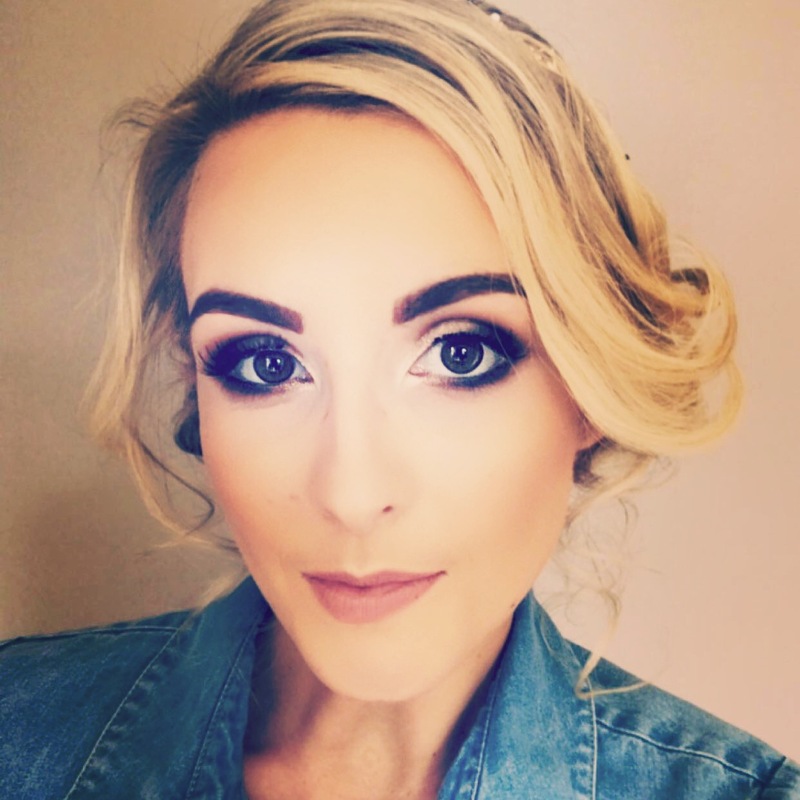 Christiane did my make up for a wedding I was attending and I loved it. 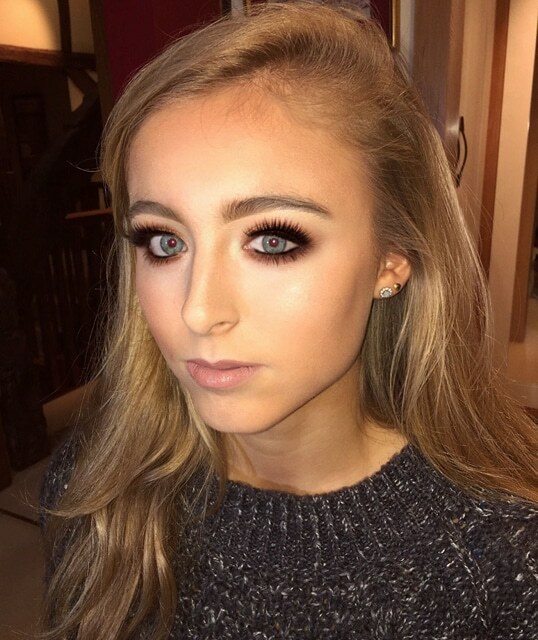 Great make up artist and would highly recommend. 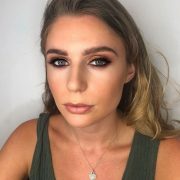 Christiane is a wonderful MUA and I would highly recommend her. 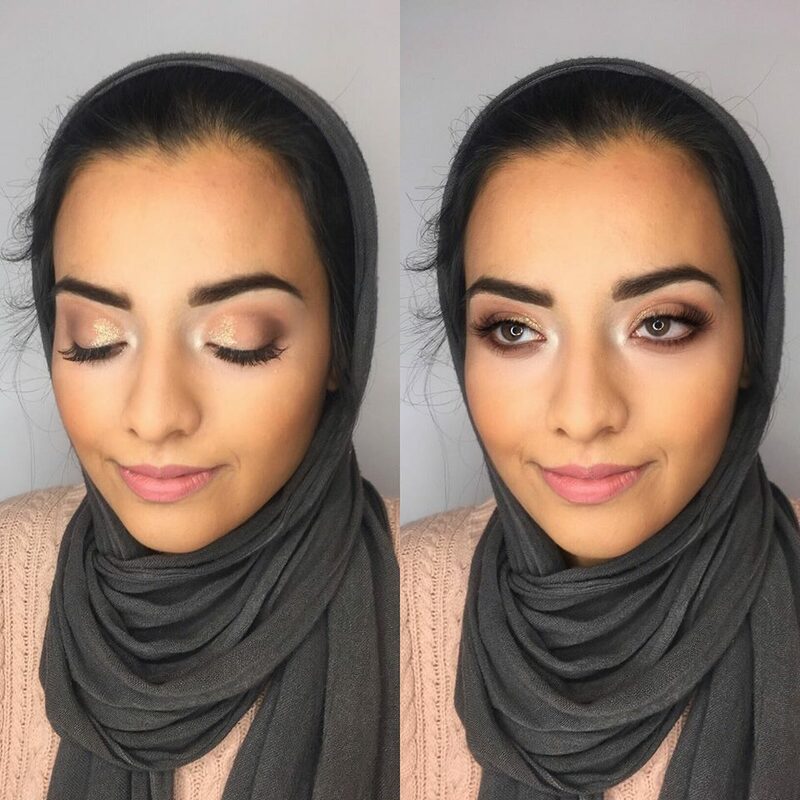 I hired her for my bridal makeup and not only was she a very calming influence in a VERY hectic environment, her skills were A CLASS. My makeup lasted all day, night and until I took it off the next morning!!!!! 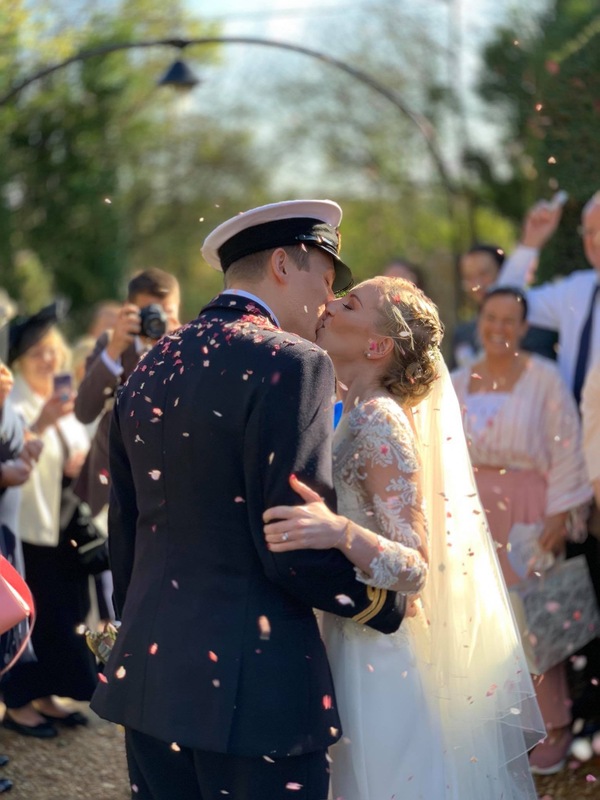 Christiane did my wedding makeup and what an amazing job she did! 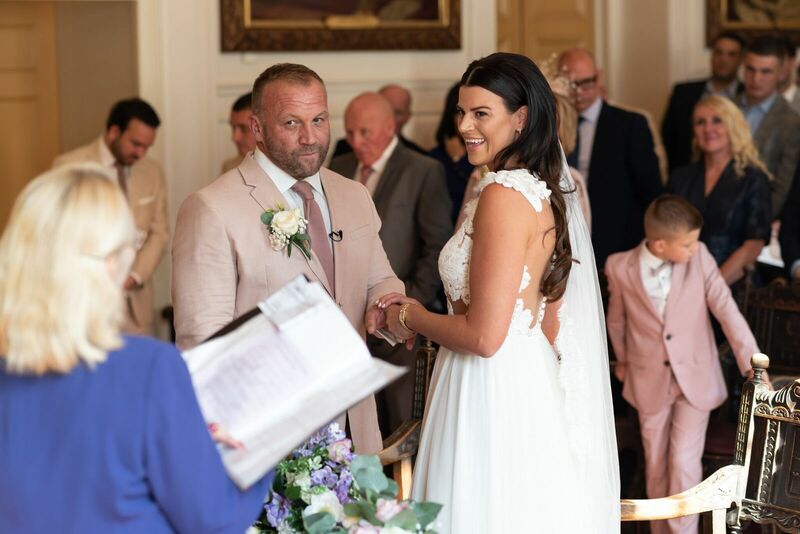 On a personal level she is just such a lovely lady, she takes into consideration exactly what was being asked and my make up couldn’t of been more perfect along with all my bridesmaids makeup! She is a little miracle worker! 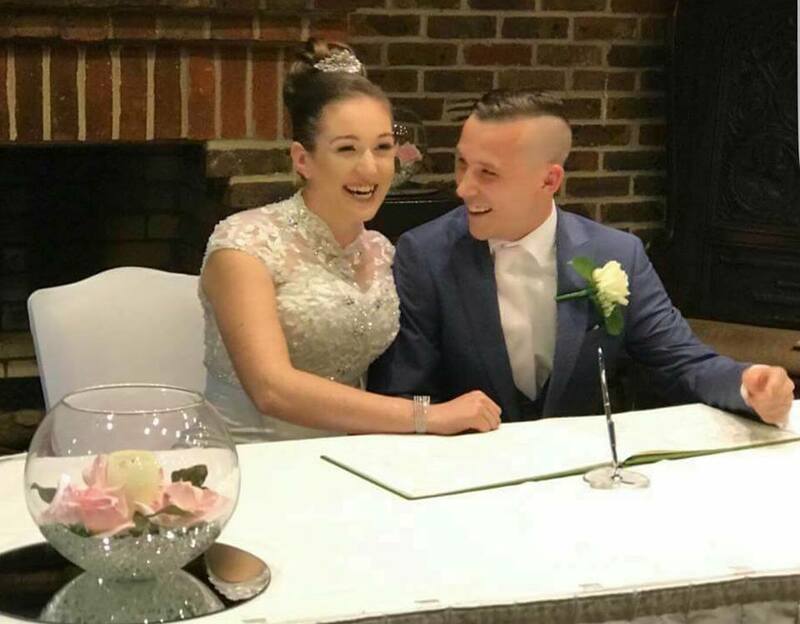 Thanks for sharing my special day with me, I couldn’t of been more made up (excuse the pun!) 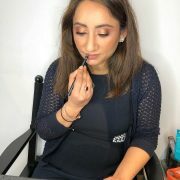 with my lovely makeup! I can’t recommend Christiane more. She is going to go a long way in her career, a very talented lady indeed. An absolute sweetheart and an incredible make up artist. 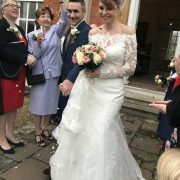 She made the wedding day easy and enjoyable and made us all very pretty!! 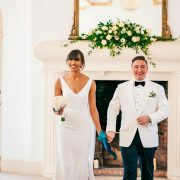 Christiane did the makeup for my wedding in the 8th August and it was fantastic, I could not have asked for more! 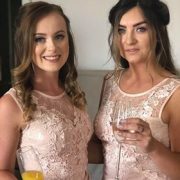 She was so patient during my trial as I decided what I wanted and she has the most amazing colour matching and all of my bridesmaids looked stunning. She took the time to provide makeup to make each of my girls complexion. 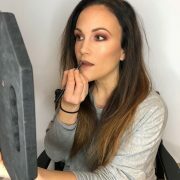 If you want makeup that will make an impact then Christiane is your woman!!! Simply the best! This is my second time with Christiane. 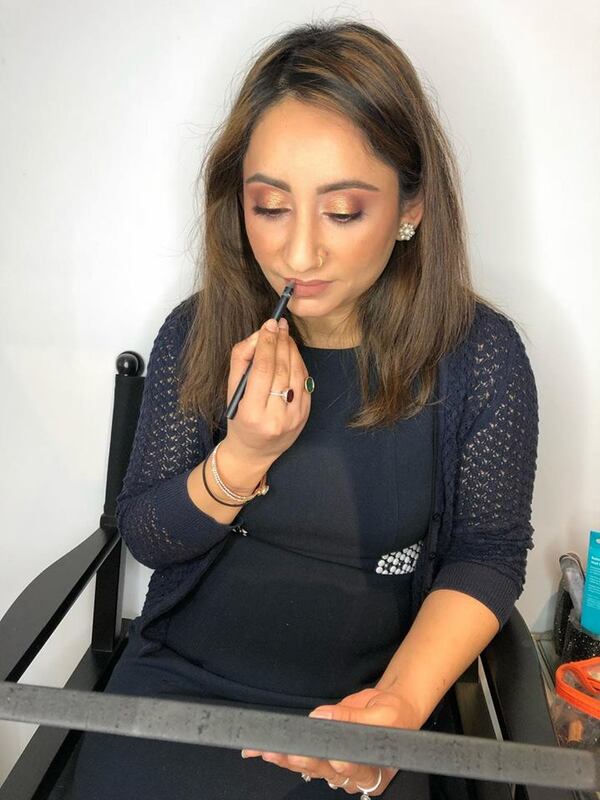 On this occasion I had a make up lesson and I wasn’t disappointed. She puts you at ease immediately and I left feeling and looking like a million dollars. I can’t recommend this ladies services enough. Regardless of age she caters for all and for all occasions. 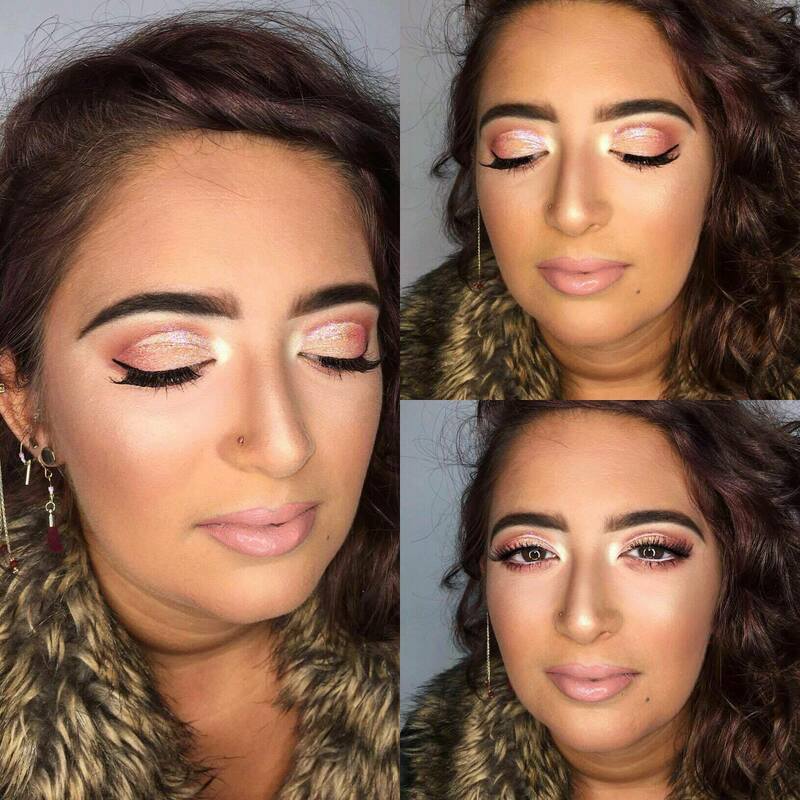 Definitely a 5 Star makeup artist. Chrisitiane did my makeup for a very special wedding. 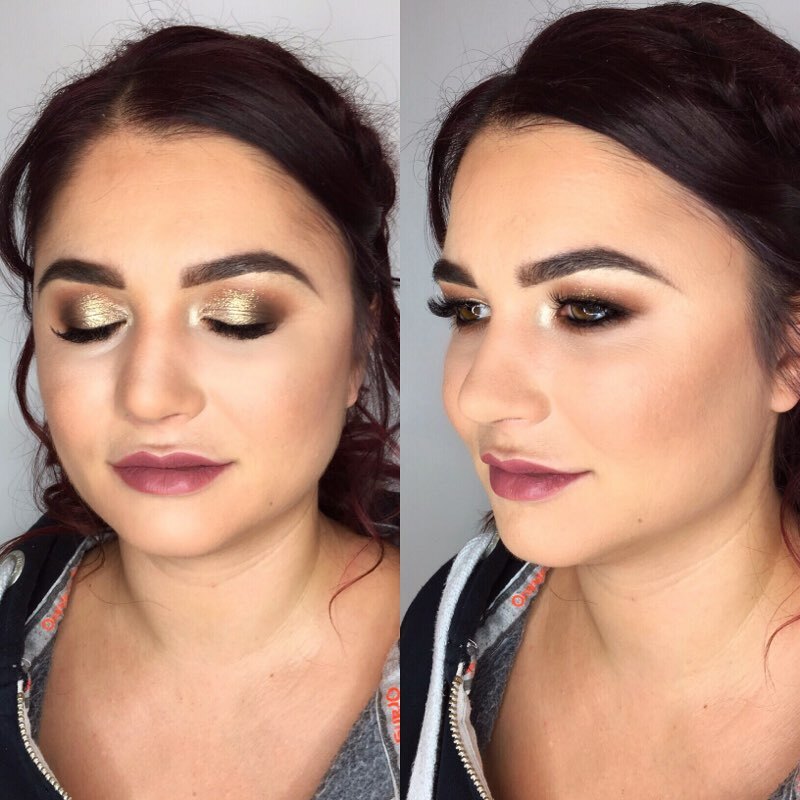 She was so lovely and wanted to know what I had in mind for my makeup. She did a fantastic job because she made sure she used all my favourite colours and that also matched my dress. 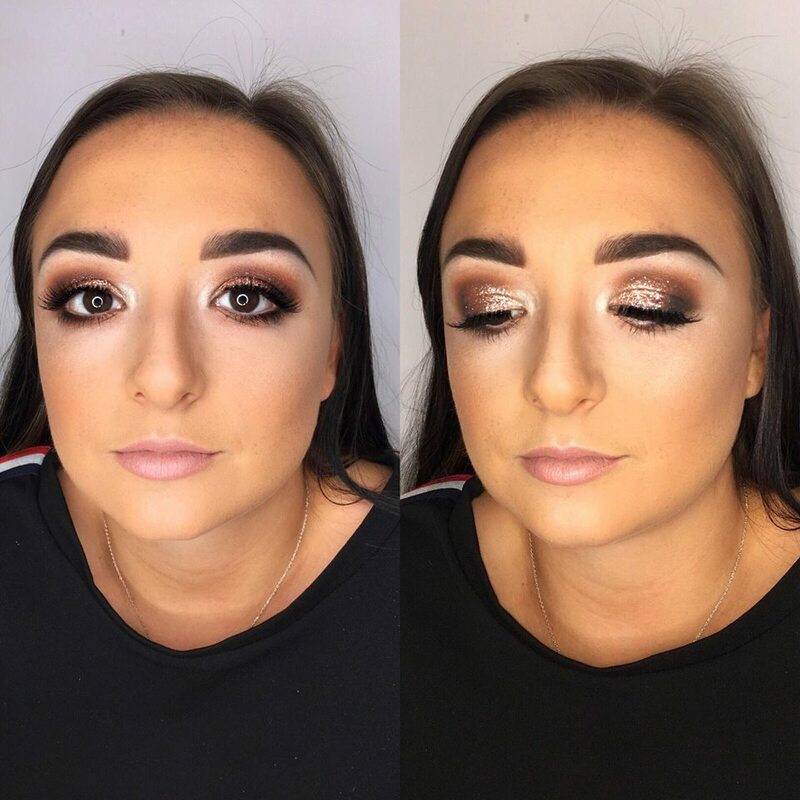 I was over the moon with my makeup and I would strongly recommend her! 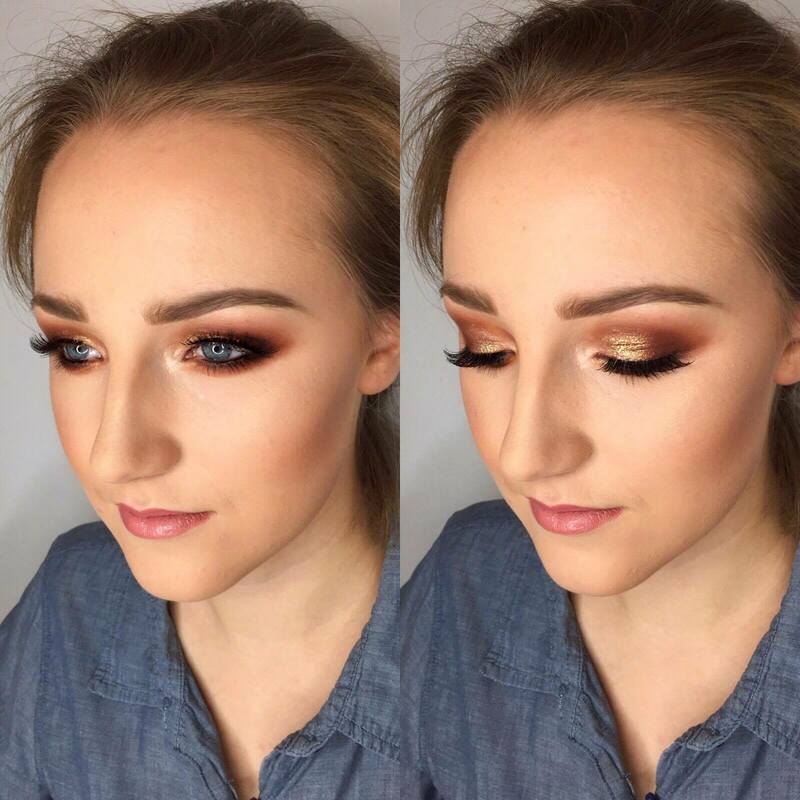 I have already booked Christiane to do my prom makeup and I can’t wait. 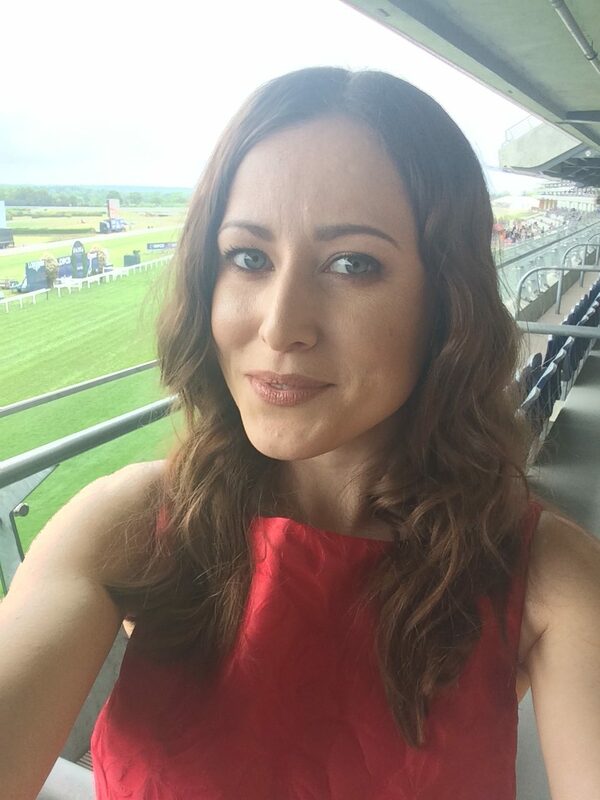 So Christiane I thank you so much for my beautiful makeup I couldn’t of been more pleased! Great service and very friendly. 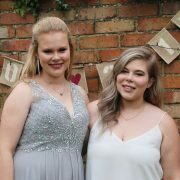 Christiane did my make up for graduation and it stayed in place all day despite 30 degree heat! Would highly recommend. I was so happy with my make up that Christiane done for me yesterday. Wish it could of lasted longer than a day. She knew what I wanted without me saying too much. 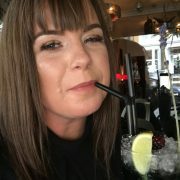 I will be recommending Christiane to anyone that asks. Thanks again. 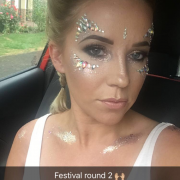 Absolutely loved my makeup and received so many compliments! 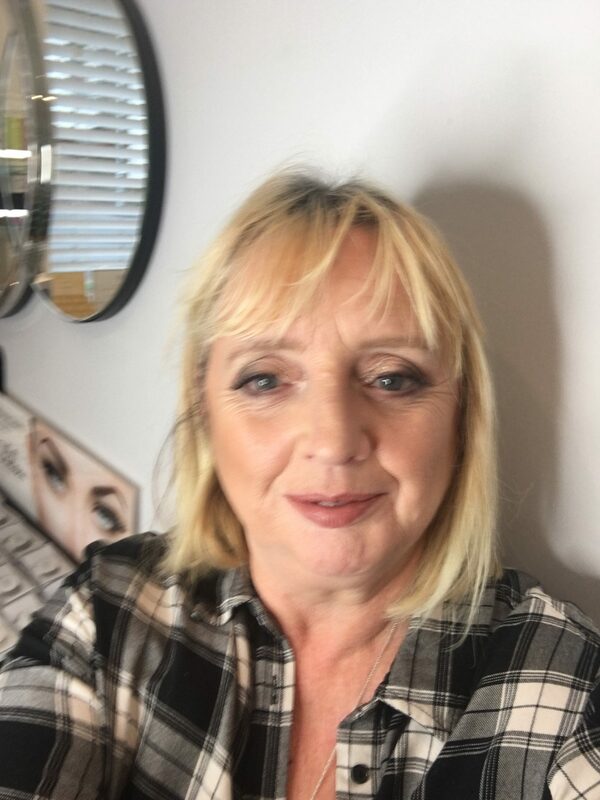 Christiane was very professional and advised me on what would suit me best, will definitely go back to her in the future. I had my makeup done on the 12th and 14th of July and was over the moon with the look Christiane had created! She’s extremely talented and very friendly! 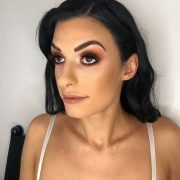 By far the best in the makeup industry and i’ll definitely be booking with her again! Thank you so much Christiane! 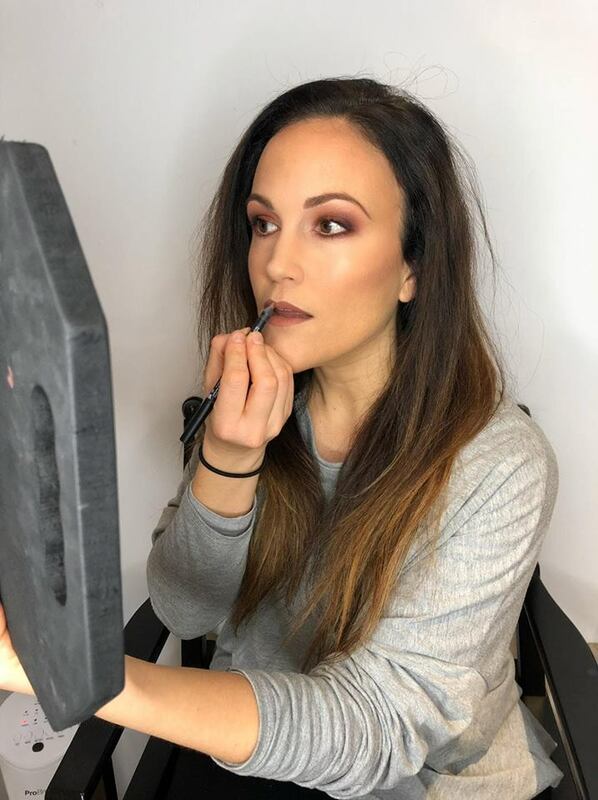 I had a makeup lesson by Christiane, and I was blown away how beautiful she made me look, Christiane really takes her time and explains everything step by step. I really learned a lot and would definitely recommend her. 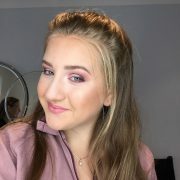 My daughter is now looking forward to Christiane teaching her all about how to apply make up as soon as she is old enough. 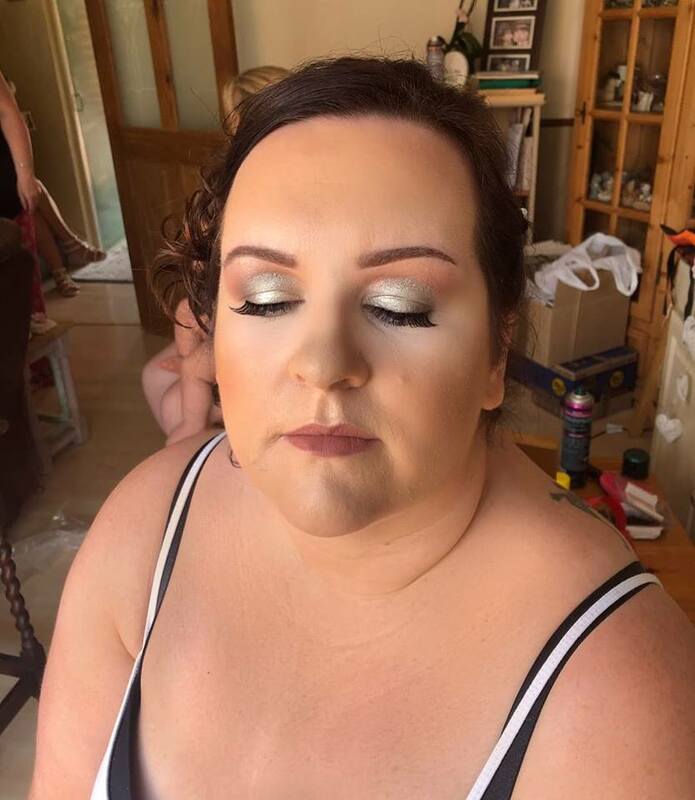 Makeup done for my best friends wedding and it was beautiful and lasted the whole day in the heat! 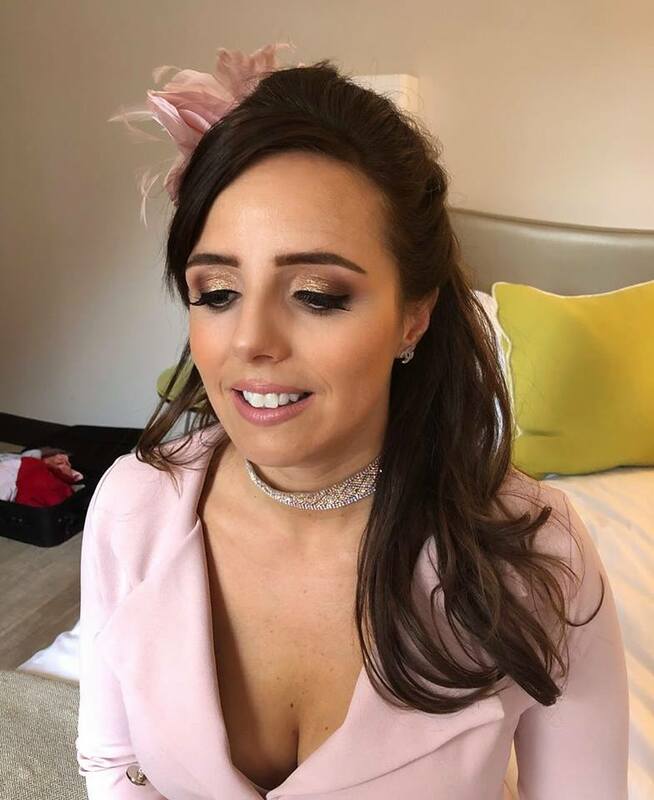 Christiane did our bridesmaid make up. She was amazing & very professional. She kept all of us calm and collected throughout. 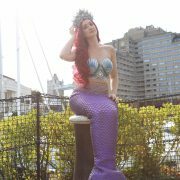 Christiane is very talented and we all looked and felt amazing. 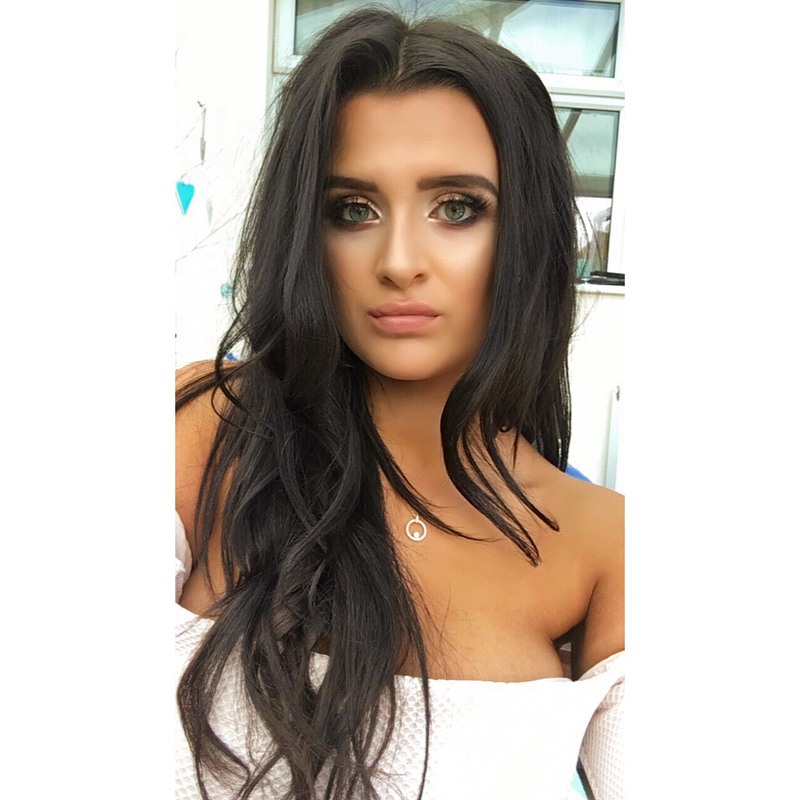 She has a huge range of products and discusses what you would like beforehand. I would highly recommend to anyone looking for a makeup artist. 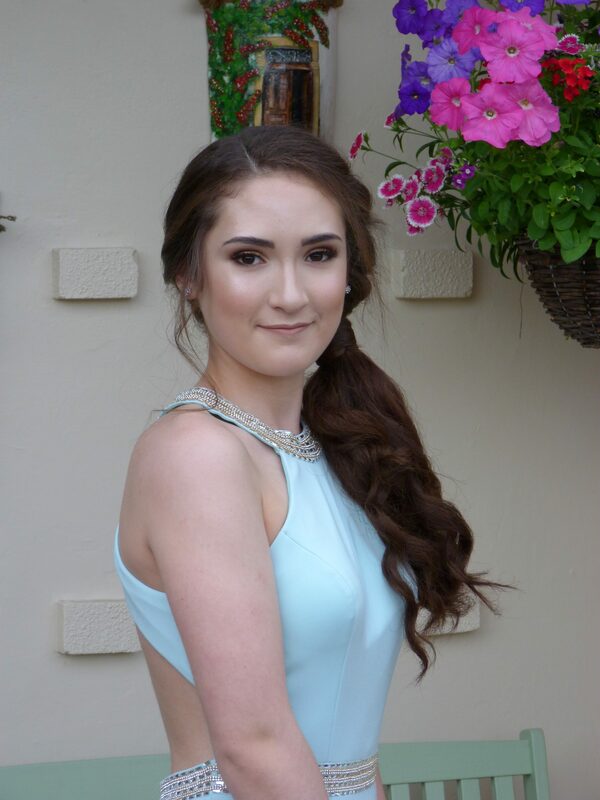 Christiane did my daughter’s make up for her prom and we were over the moon with the results. 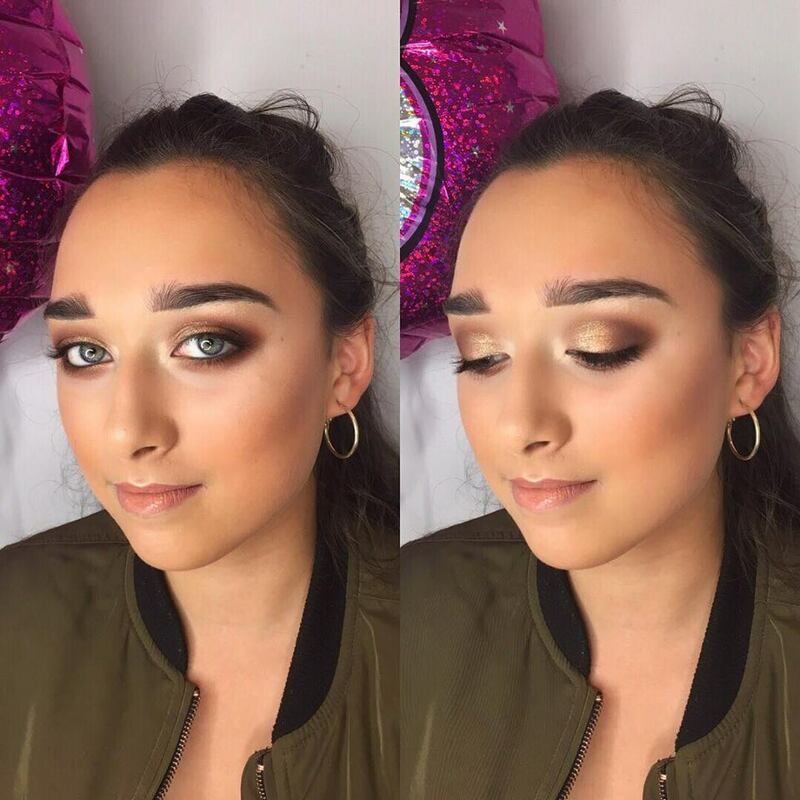 She listened to exactly what my daughter wanted, she made her look absolutely stunning and her attention to detail was incredible. 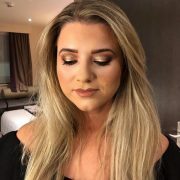 As well as being friendly and welcoming, Christiane is an extremely talented make up artist, she is highly knowledgeable and very professional. I can’t recommend Christiane highly enough and I’ll definitely be booking with her again. Many thanks Christiane! 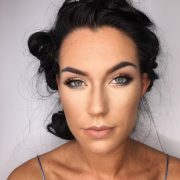 Christiane is amazing, such a talented make up artist and is so flexible to whatever you want/need. Cannot put into words how excellent Christiane is! Always does a great job and you leave feeling amazing. I cannot stress enough how wonderful Christiane is. 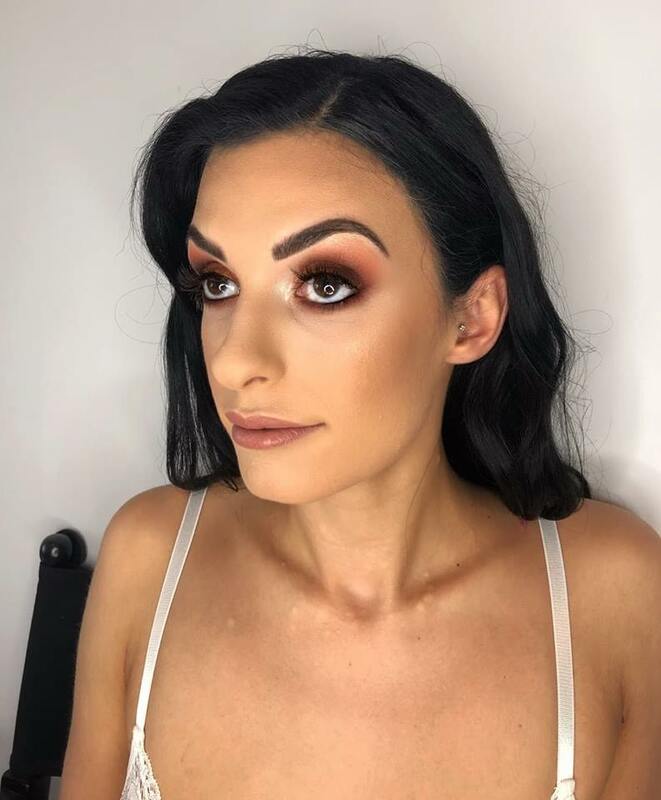 She did me and my bridesmaids’ makeup and we were all amazed at her talent. 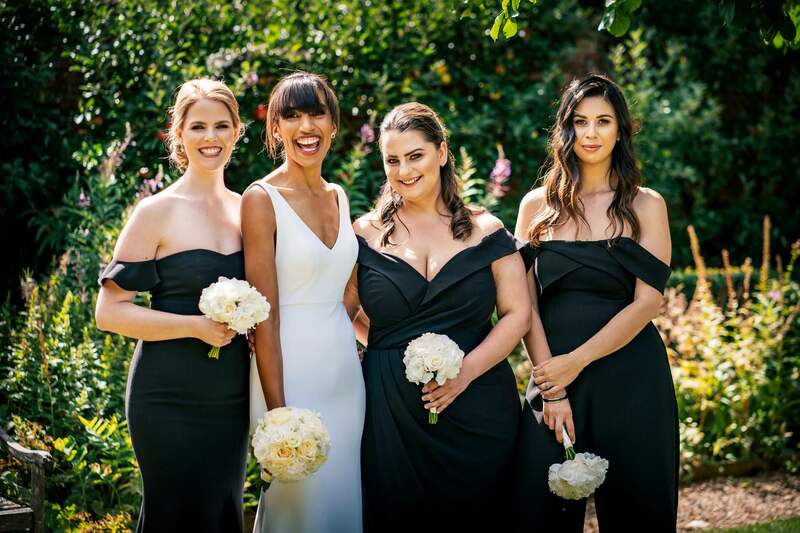 My bridesmaids all did not have very precise ideas of what they wanted, but for each of them she took on board their vague suggestions and came up with perfect outcomes. I had a makeup trial so I already knew what I was having, and on the day it was amazing. 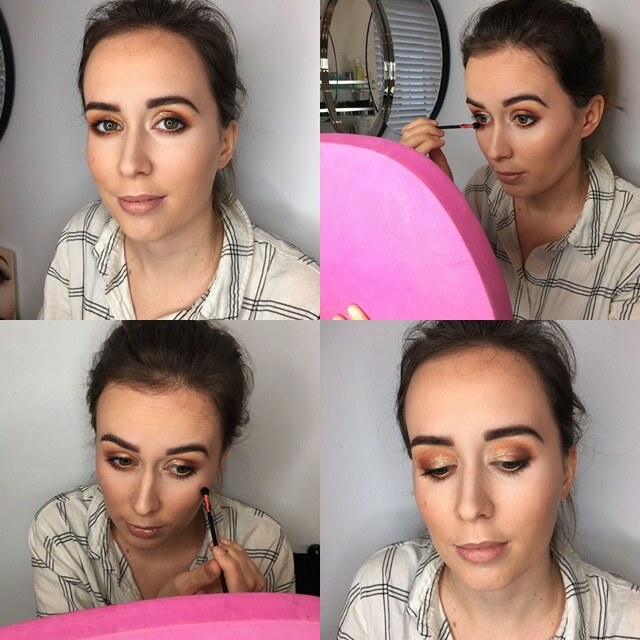 We all loved our makeup! And Christiane is really lovely! 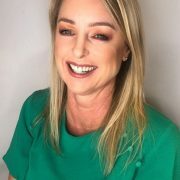 Cannot recommend Christiane highly enough! 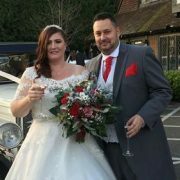 My experience from start to finish was brilliant, Christiane is extremely professional and listened to exactly what i wanted. 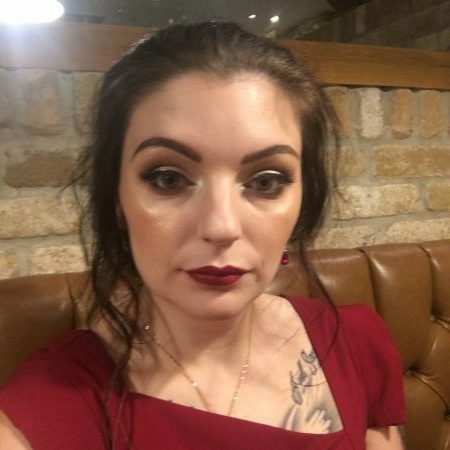 My make up look outstanding at the event I had people who didn’t know me commenting on my make up. I will definitely be a return customer! 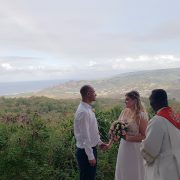 I had a great time, Christiane is really helpful and friendly. I would highly recommend! I was so impressed with my first visit with Christiane I just keep going back. She’s friendly, reliable, professional and very talented. I would highly recommend her for both nails and make up. This girl is amazing. Always gets my make up spot on. I give her a challenge every time and she always succeeds and does better than the pics I show as a guide. She’s down to earth and very professional. Her studio is gorgeous. Can’t recommend her enough. 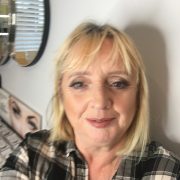 Christiane is a lovely, friendly and professional person who puts you at ease and listens to what you want, whilst making helpful suggestions and offering great advice. 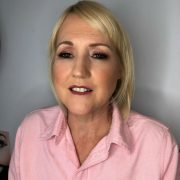 I wanted help with my make up as my skin has become drier and shows the usual signs of age, with a few wrinkles and brown age spots. Christiane showed me how to apply a range of products to handle this and I left feeling a million dollars. It was wonderful. Thank you so much for your help. 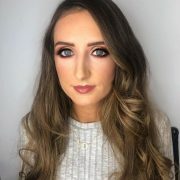 I am so happy and cannot recommend Christiane highly enough to anyone looking for a makeup artist. 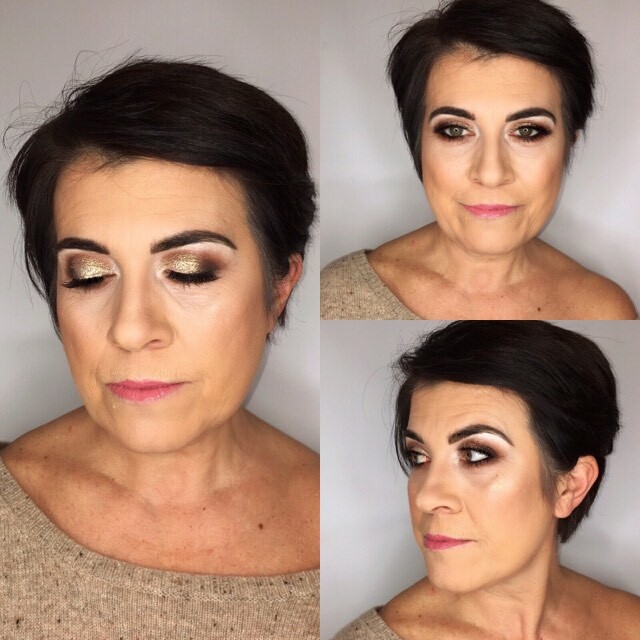 I visited Christiane in Dec 2017 for some Special Occasion Makeup – for a work Christmas do! 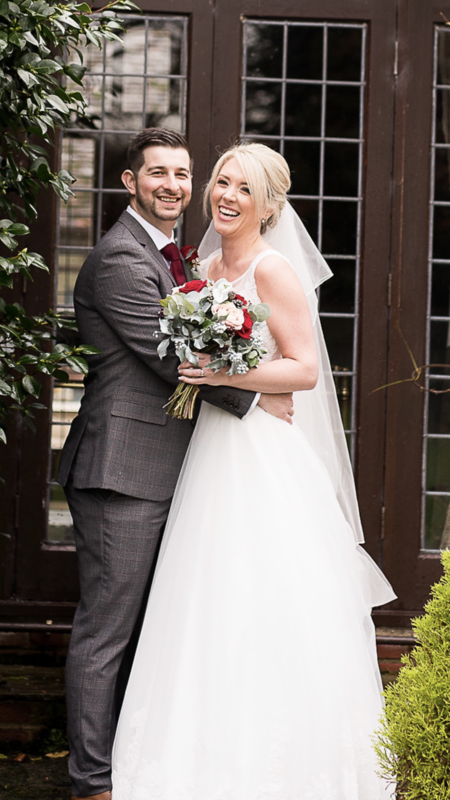 Christiane put me at ease straight away and ran everything by me as she went making sure I was happy! 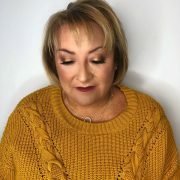 I couldn’t recommend Christiane enough and I can’t wait to find my next excuse to go and visit her and get all glammed up again! Christiane did a great job. Loved how my makeup lasted throughout the day. Shes friendly and polite. Would love to see her again. I was instantly put at ease and made to feel very comfortable. I came out looking and feeling a million dollars. Can’t recommend Christiane enough.A true professional. 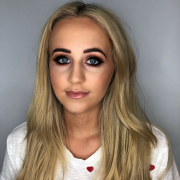 Brilliant makeup artist and so helpful throughout! 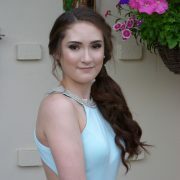 Christiane did a splendid job doing my makeup for my graduation, it was exactly what I wanted. 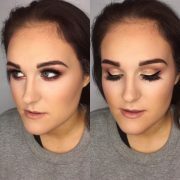 She is very professional and hospitable and shows you every step of the makeup process. Would recommend Christiane to everyone. Christiane was brilliant in all aspects. From the moment I contacted her until we finished the makup lesson. She is kind and polite.I felt very comfortable and welcome. She was very helpful and she took her time to explain everything I wanted to know (I had lots of questions lol). 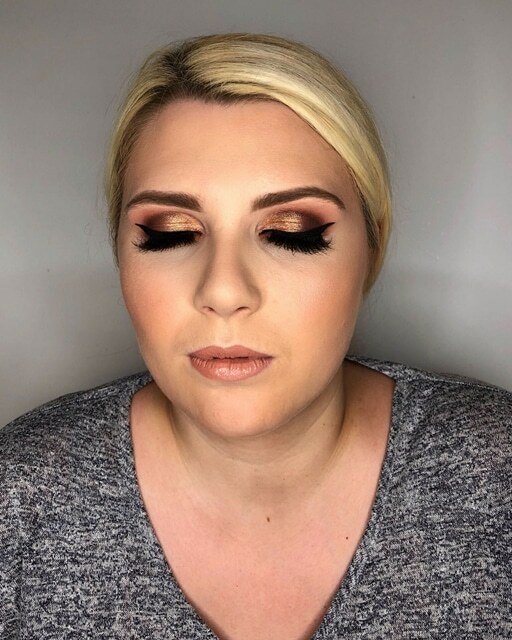 I have hooded eyes and I have never really had the right eye makeup but during the lesson I learnt so much so all I have to do now is practice. However I enjoyed it that much I will definitely go back for another lesson. Thank you very much Christiane!!! 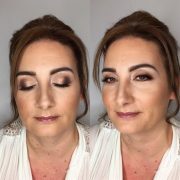 Christiane did an excellent job for my wedding and I felt amazing with her make up on. 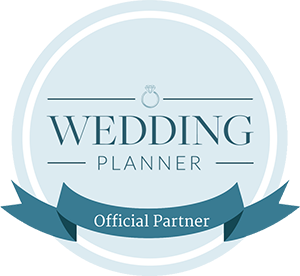 Christiane is very professional and offered so much advise and help with my dilemmas leading up to the day. 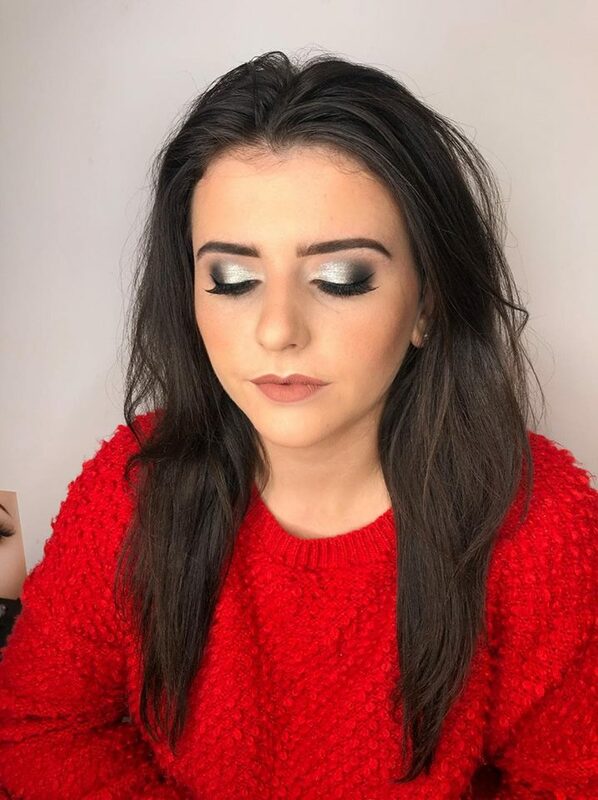 I went to Christiane to have my makeup done for a Christmas party. 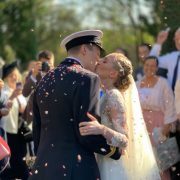 It is the first time I have ever had this done professionally and I chose Christiane from the reviews and pictures on her site and I was not disappointed. 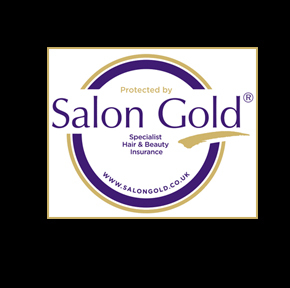 She is very friendly and her salon was set up very nicely, it felt very relaxed. 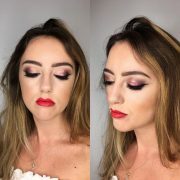 I loved the end result, me but a glam version which is exactly what I wanted. 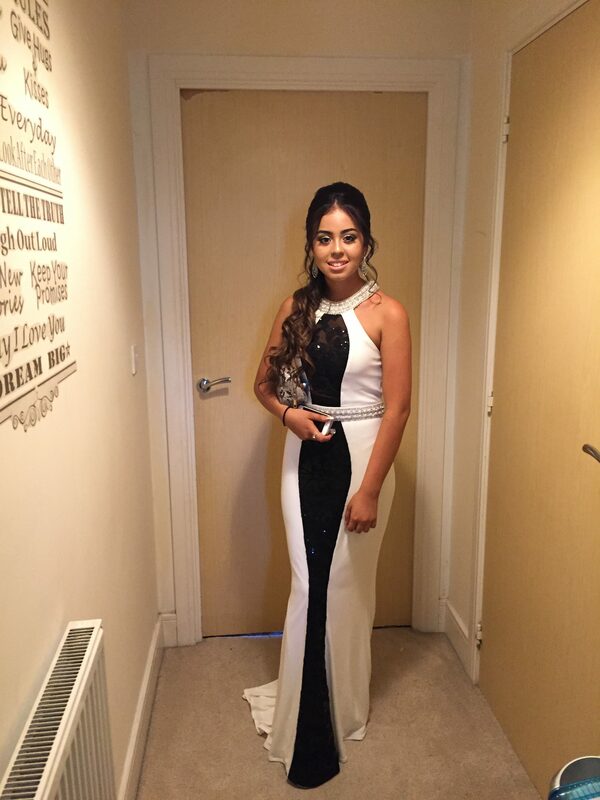 I would recommend Christiane to anyone wanting to look good for their special occasion! Best Makeup Artist ever! Very professional, love it! Wonderful professional, knows exactly what we want! Brilliant!! 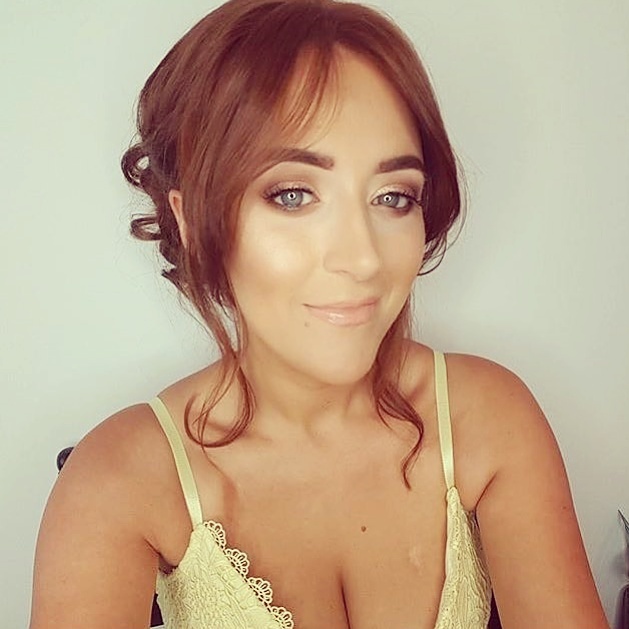 I booked Christiane to do my makeup and nails before a big night out. I don’t usually wear much make up and so turned up not really knowing what I wanted. I gave Christiane free reign to do what she thought would suit me best and she didn’t disappoint. I left feeling and looking amazing and I received compliments all night! 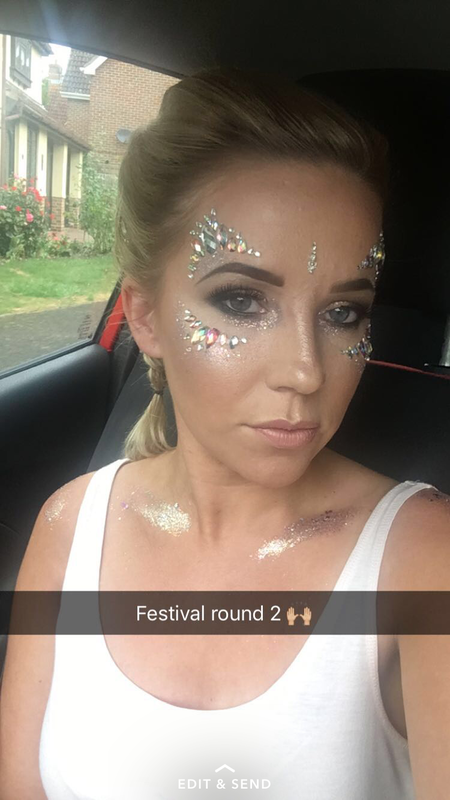 Moreover the make up lasted through till the early hours of the morning. 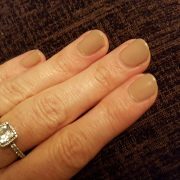 My Shellac Nails were done with care and precision and were long lasting. Christiane is extremely talented and I highly recommend her! I will definitely be using her again. 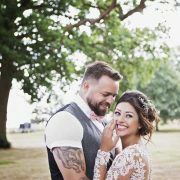 I had the absolute pleasure of having Christiane doing my wedding make up for me. From the start when I contacted her she was nothing but professional and made me feel at ease and I knew I was in safe hands. The whole experience was fantastic down to the appointment reminders. I went to her studio and was made to feel so welcome. Christiane listened to what I would like and would talk me through what she was doing and checking that I was happy with the look on various stages. 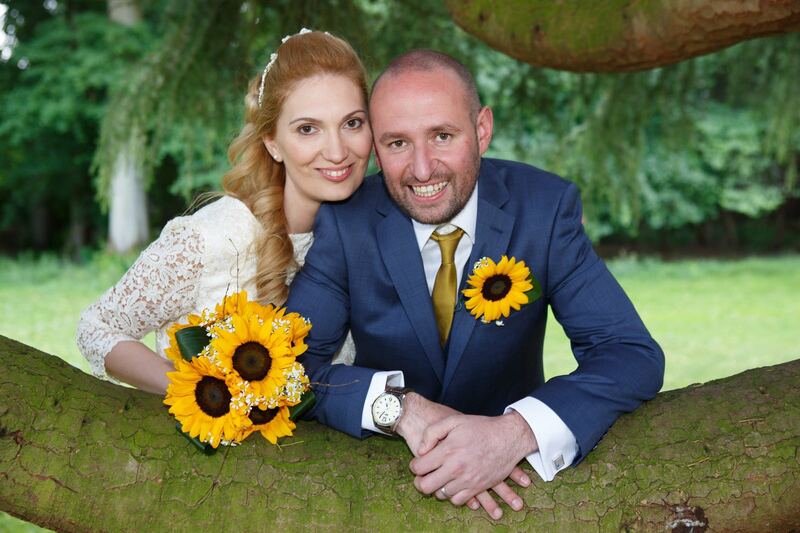 On my Wedding Day Christiane helped make me feel so special . 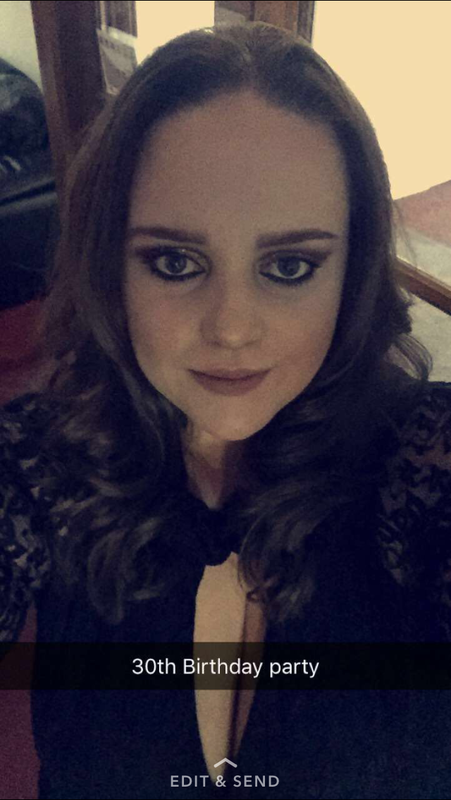 I absolutely loved my make up and had so many compliments. 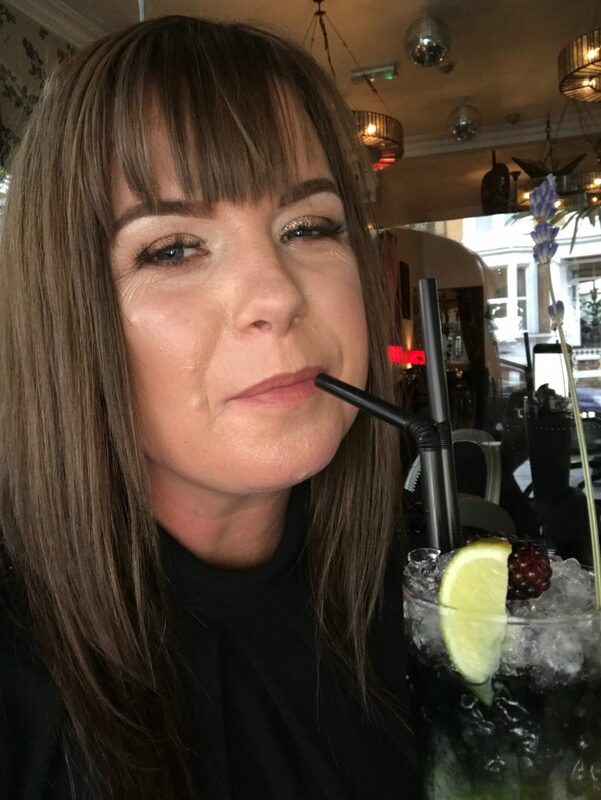 Very lovely and professional, great communication throughout the booking and in the run up to the appointment with her squeezing me in due to me contacting her at late notice! 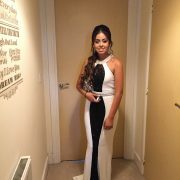 My special occasion make up looked amazing and I had so many compliments from everyone. Will definitely be using her again in the future. 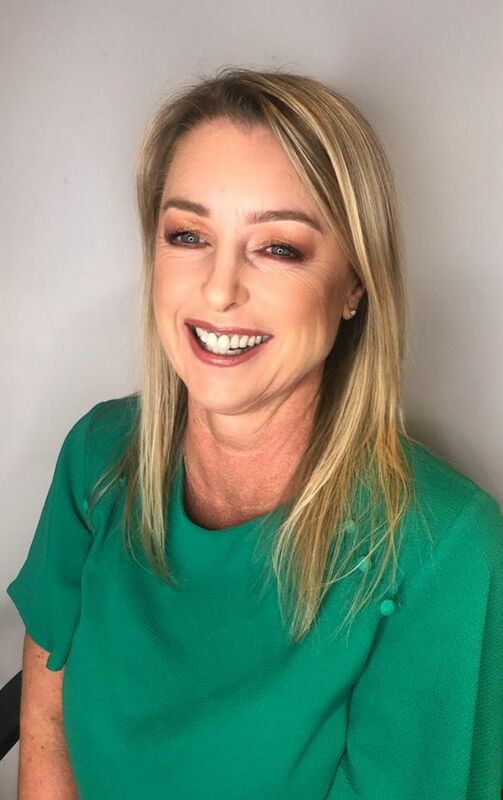 I’ve recently had my make up done by Christiane and all I can say is wow! 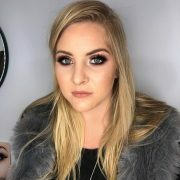 She is a true professional and is amazing at what she does. 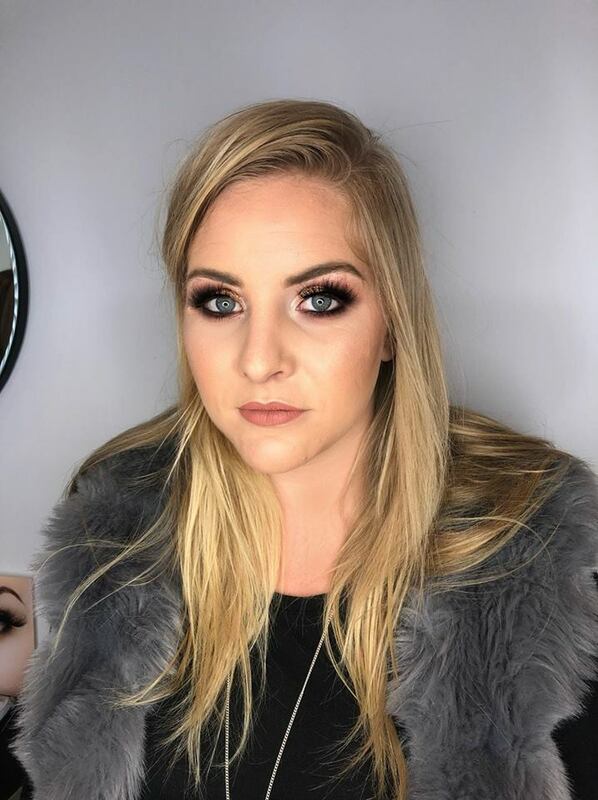 I will definitely be returning to have my make up done again. 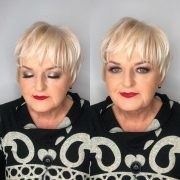 Christiane did my make up for a photoshoot and did a fantastic job. 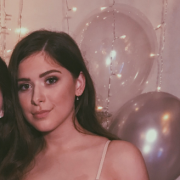 I showed her a picture of what I’d like and she matched it almost identically (obviously so it would work for my features) . Would highly recommend her. 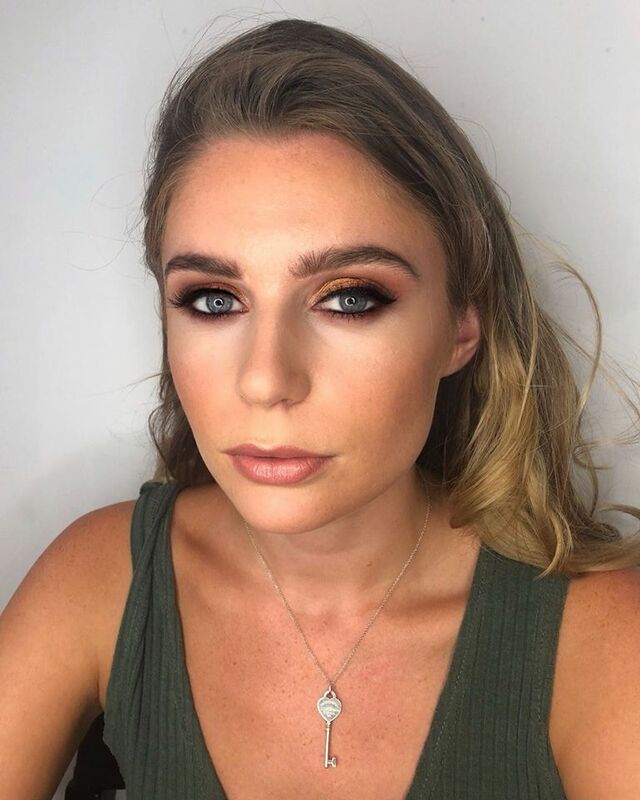 Christiane did my make up for an important London event and all I can say is wow! I couldn’t have chosen a better person for the job. 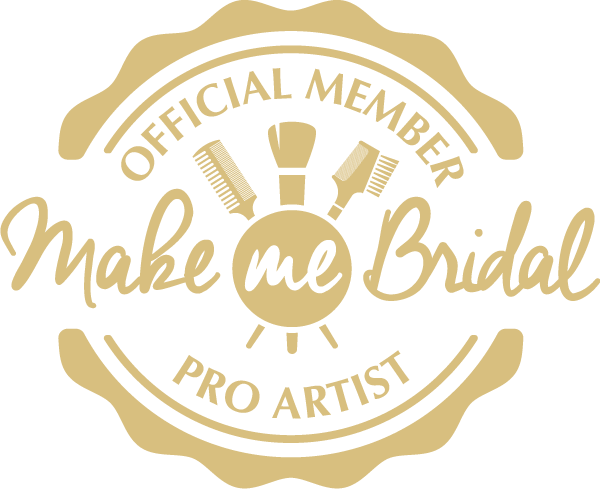 She is very professional and very skilled,the studio is pristine and welcoming so the experience overall was just amazing. I felt very pampered and definitely will be back there again soon! Christiane is not only very talented and professional but an absolute pleasure to be around. She listened to exactly what I wanted and made me feel at ease from the moment I met her. My makeup was complimented all day and it stayed looking fresh until the last song was over. I will be recommending Christiane to everybody and wouldn’t hesitate to call her for my next event. I would 100% recommend Christiane. She was so professional, being very patient as I was incredibly indecisive about what to have done. 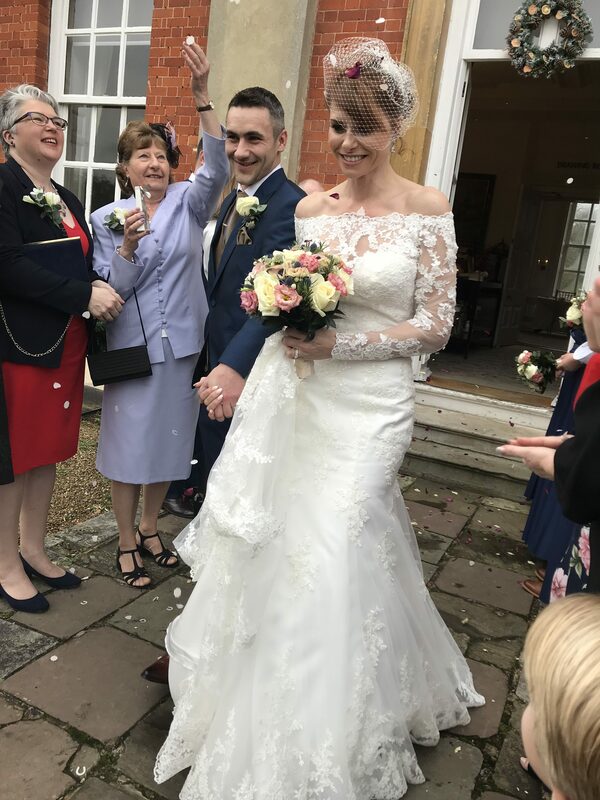 I was completely relaxed and thoroughly enjoyed my daughter’s wedding day , not having to worry about my makeup. My daughter had her Birthday Party with Christiane yesterday. She absolutely loved it! 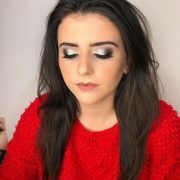 She learnt loads about how to apply makeup, what brushes to use and Brands, which the girls all loved. Very professional and I learnt a lot myself too. Thank you. 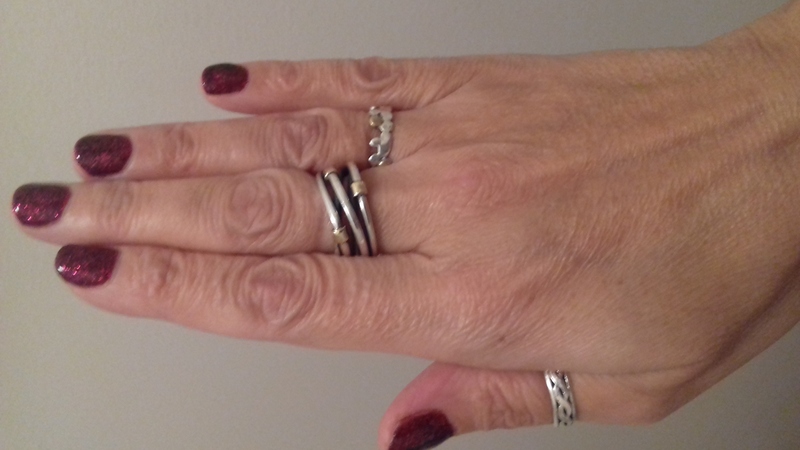 I went to Christiane for the first time a couple of days ago to get a set of gels put on. 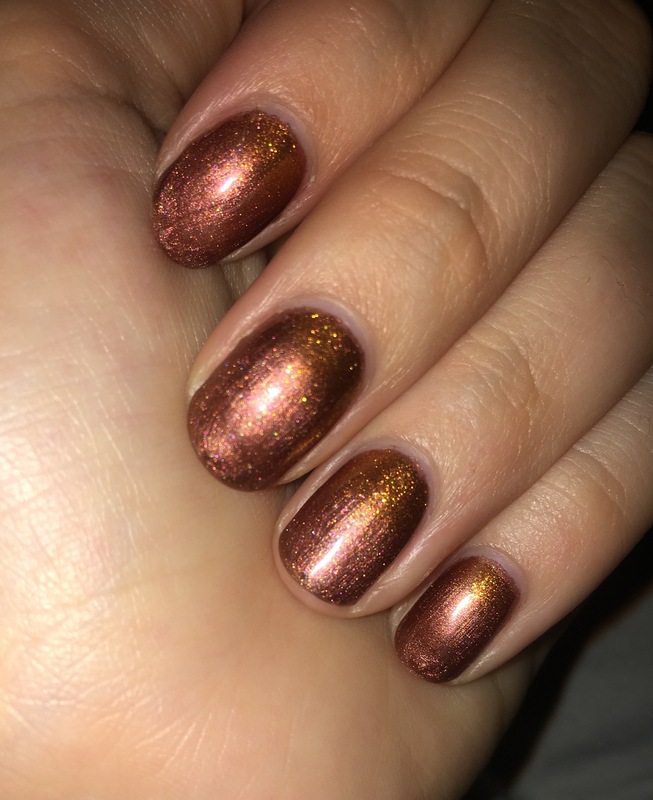 I’ve never been more pleased with my nails and they’ve lasted longer than any other set I’ve had, normally my others chip off within two days. They feel so strong and healthy, not to mention the beautiful colour! She has a great selection of colours and glitters, so there is something for everyone. 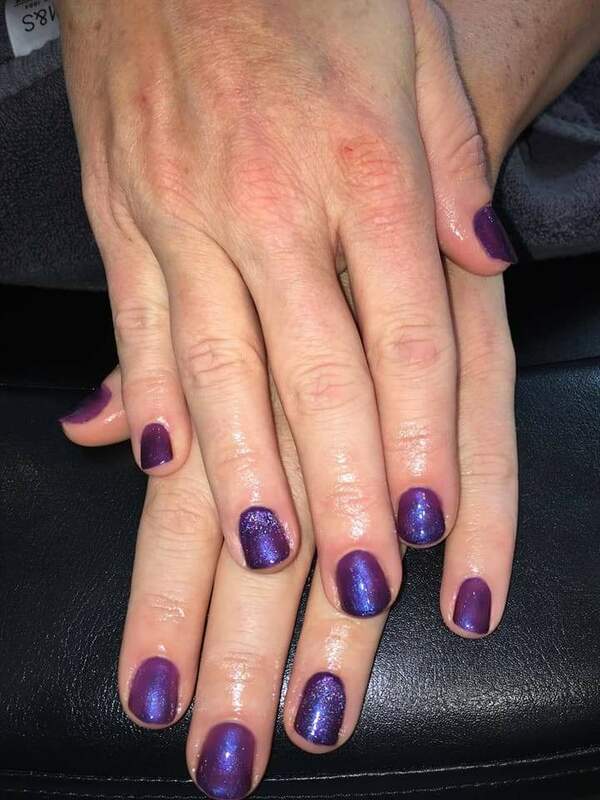 I love the fact there is an option to add glitter as normally other salons don’t do this. 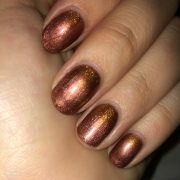 Usually, my gels look bumpy and uneven, but these look perfect. I’ve already booked in for my second set and I will definitely become a regular! Highly recommend Christiane! 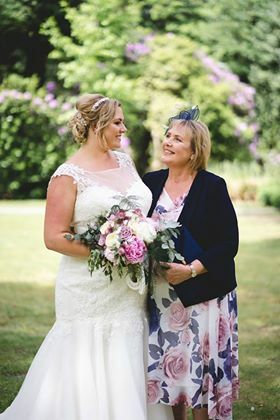 I visited Christiane twice in two days to get my makeup done, each time I left feeling amazing and confident, the second time I bought my mum along with me who also got her makeup done and absolutely loved it. 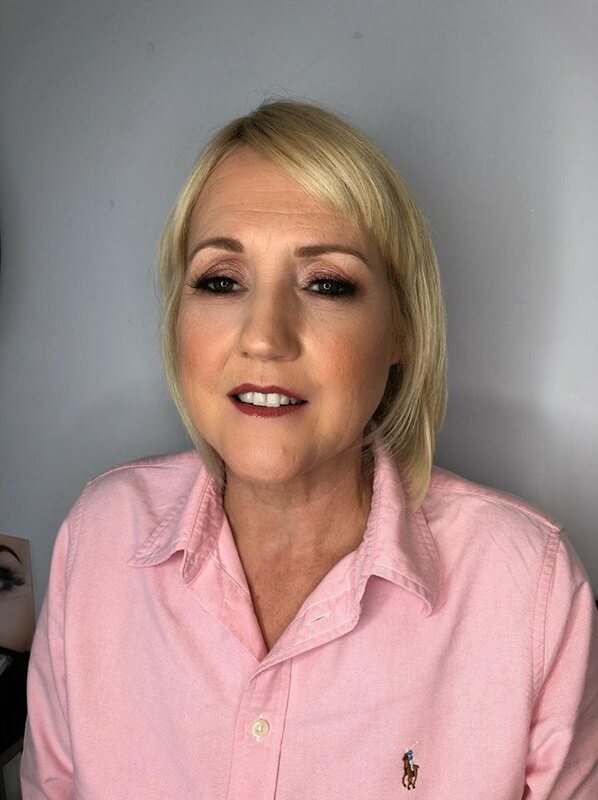 Christiane talked me through each product she used and how she was using them and took my ideas and tailored them to my skin tone and skin type. If this wasn’t enough she then matched my makeup to my hair and my lipstick to my shoes. She also covered up my mum’s tattoo! I was so impressed with her skill, professionalism and friendly manner. 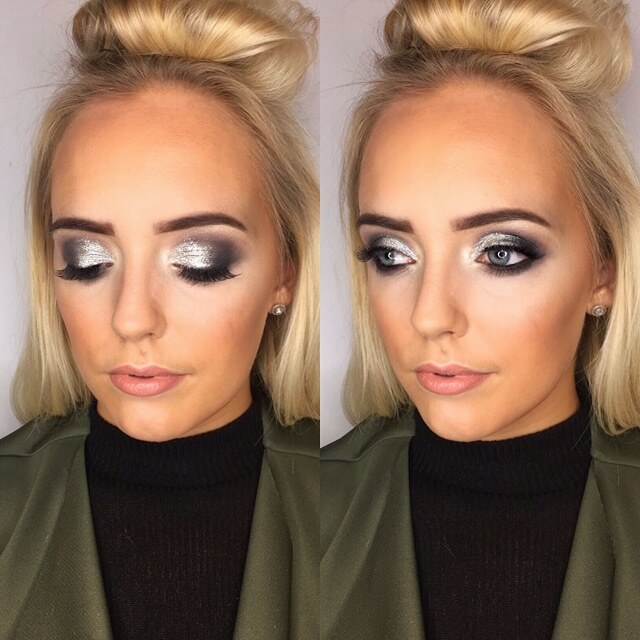 We can’t wait to find another excuse to get our makeup done! 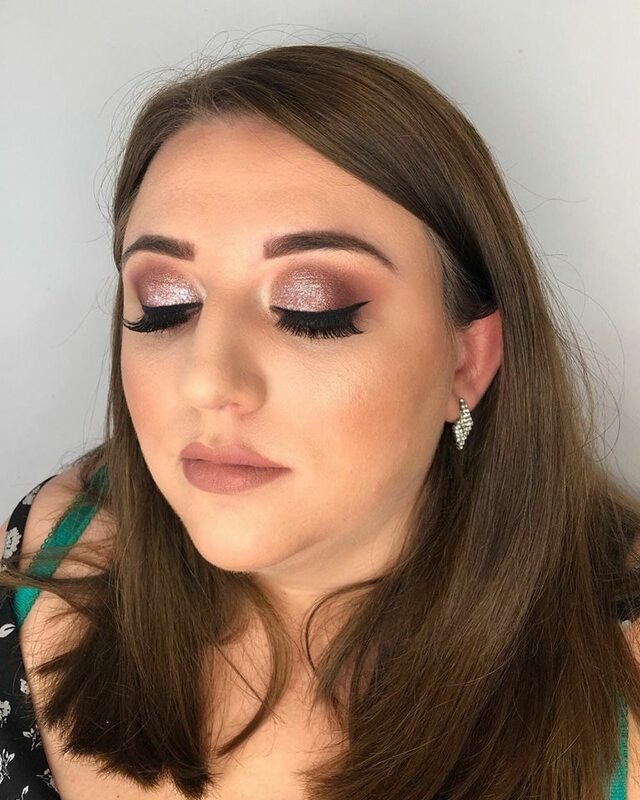 Special Occasion Makeup & Nails. 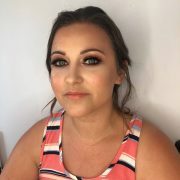 I loved having Christiane doing my makeup, she is absolutely fab and I highly recommend her. She listens to what you would like and is able to incorporate that into what suits and looks good on you. 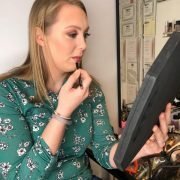 Not to mention, she has all the products you could possibly want to try out and sample, so you can get an idea of what works for you without splashing out on a product first. Had a trial before hand and Christiane created the perfect look. Didn’t have to change anything. Very professional and answered all the questions I asked. Will 100% be using her again. Such a lovely girl and so so talented. 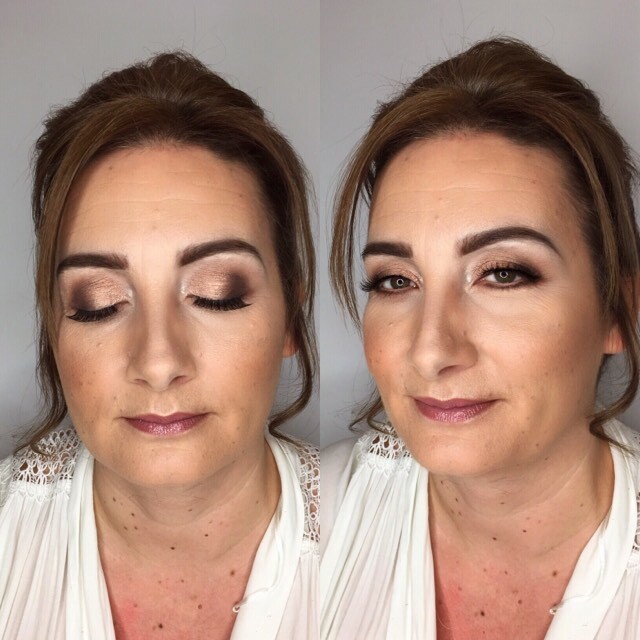 Christiane did my makeup for a friends wedding, she was very welcoming, kind and professional. I was more than pleased with the results and had many compliments throughout the day. I didn’t even need to reapply any make up as it lasted throughout. 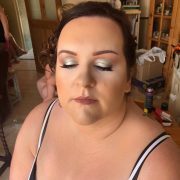 I would highly recommend to anybody wanting make up done for a wedding or special occasion. If i have an event in the area again i will definitely be contacting Christiane!! I was really apprehensive about having someone else do my make up, but always wanted it done. I’d had bad experiences in the past so was just unsure. However I can say that has completely changed! My makeup was absolutely stunning, I had so many compliments and I really did feel beautiful. Everything was exactly as I had asked. Christiane really listened to my points of concern, i.e., skin redness / coverage – my skin looked flawless!! 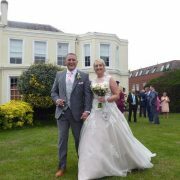 I cannot thank you enough I will never go anywhere else and can happily and comfortably recommend you as the best!! Thank you for making my day extra special! Very welcoming lady, in a lovely setting so I felt very relaxed from the start. 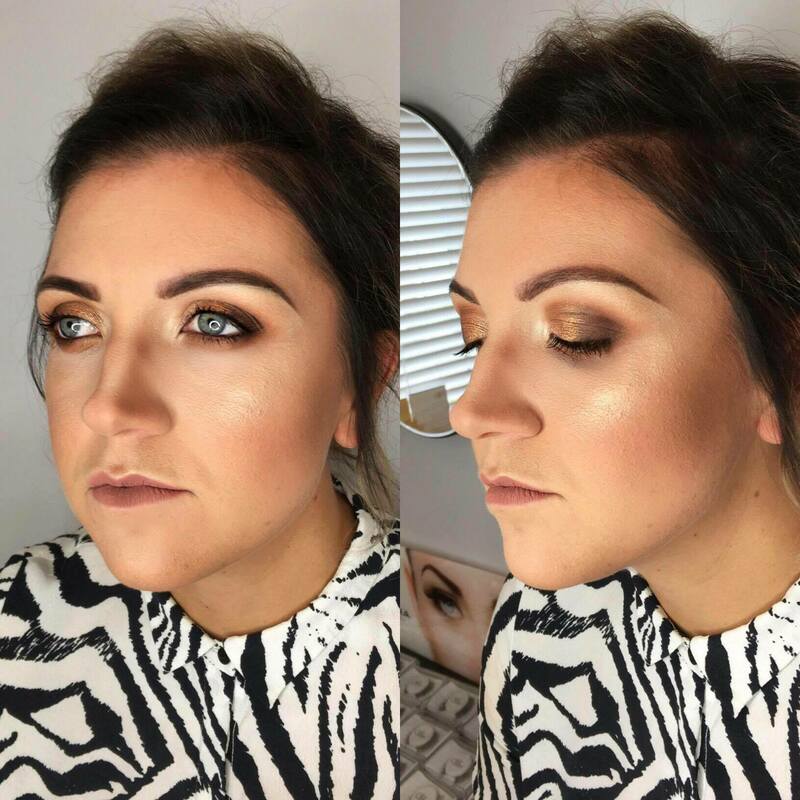 It was the first time having my make up professionally done so I was nervous, however the end result looked fabulous. Highly recommended. Thank you again! So Pleased with my Make up. Everyone commented on how nice my skin looked. Make up stayed put all day. I will be returning in the future. I had my nails done along with my mum . We had such a great time and got long lasting nail varnish. We had so many choices to pick from and got the ones we loved. 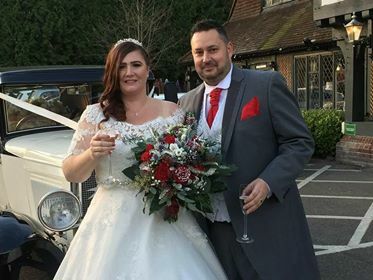 We were so pleased with our nails and definitely recommend Christiane for every event and family and friends. Thank you so much Christiane. I was travelling to Sandhurst for a special occasion and chose Christiane based on her excellent reviews. 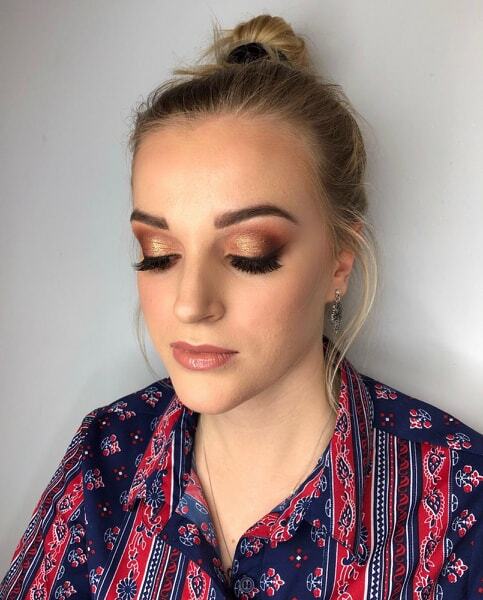 I’ve had my makeup done numerous times in London, but it is a little daunting going to someone new for a special occasion without having had a trial first. I needn’t have been worried. Christiane is so intuitive and has an exceptional eye for colour and style. 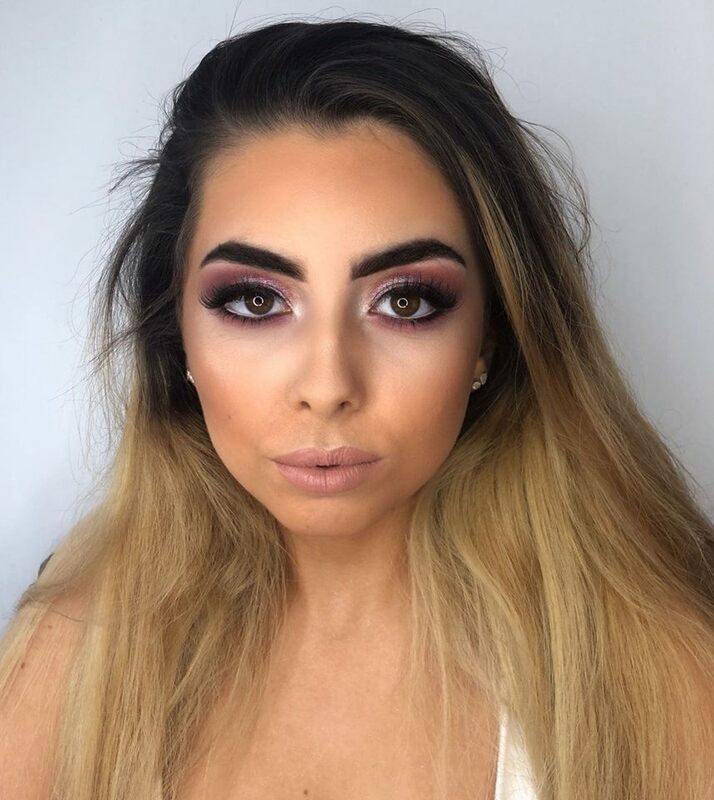 As well as taking the time to listen and understand the look that I wanted to create, she also advised me on slight changes to better suit my features and her attention to detail is amazing. 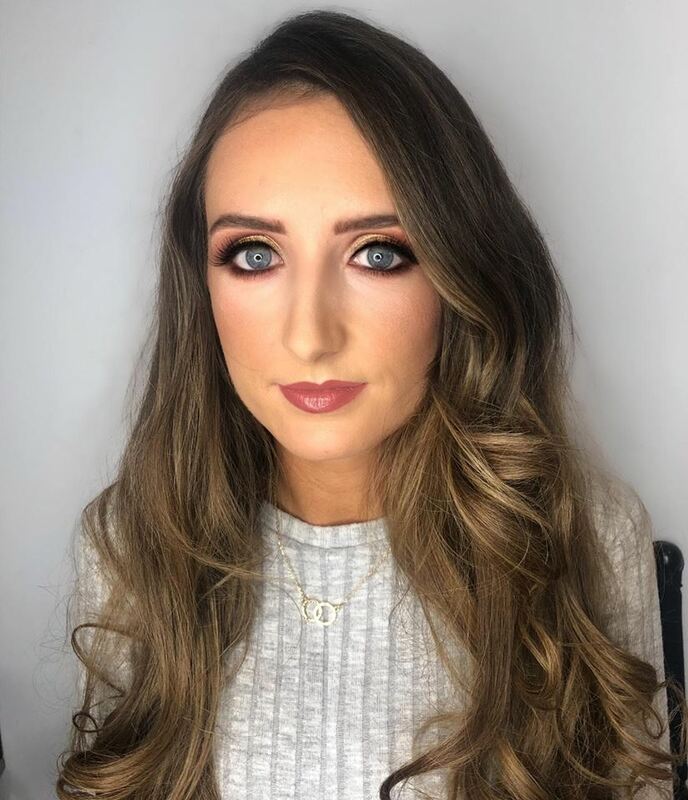 I was so pleased with the final result and would highly recommend Christiane to anyone needing a makeup artist, you won’t be disappointed. 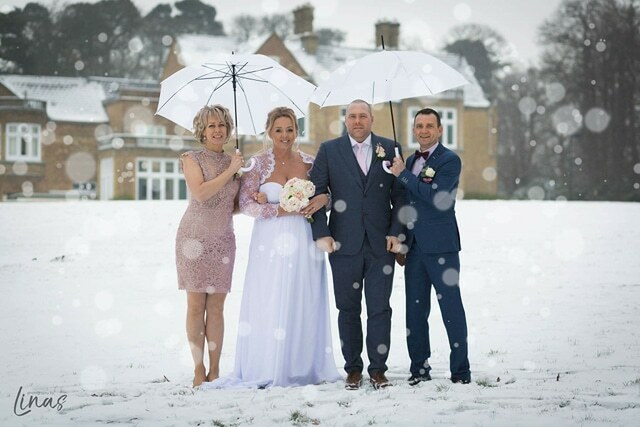 Christiane, thank you so much for your patience and for making a fabulous day even better. 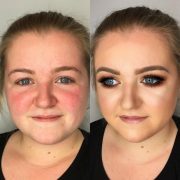 I just need another event in the area so that you can do my makeup again. 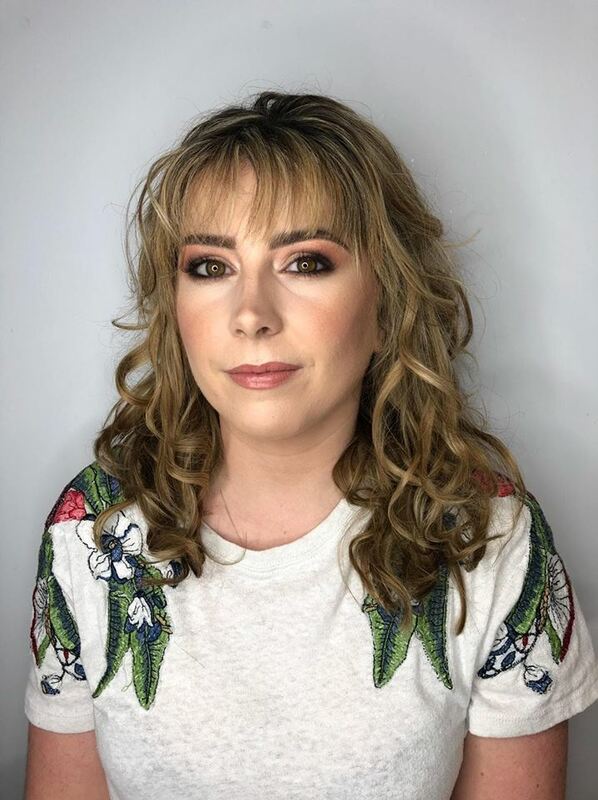 Christiane did my make up for a special occasion and I absolutely loved it. 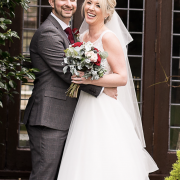 Everyone commented on it and I was extremely happy with the service and how friendly Christiane was. I have made two further appointments!!! 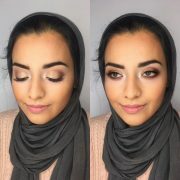 So comfortable and explained all the techniques used, colours that best suited me and gave guidance when it was my turn to apply!!! Left with my face looking fabulous and a list of products recommended. Christiane is so knowledge, friendly and welcoming. Will definitely be recommending her to friends !!! 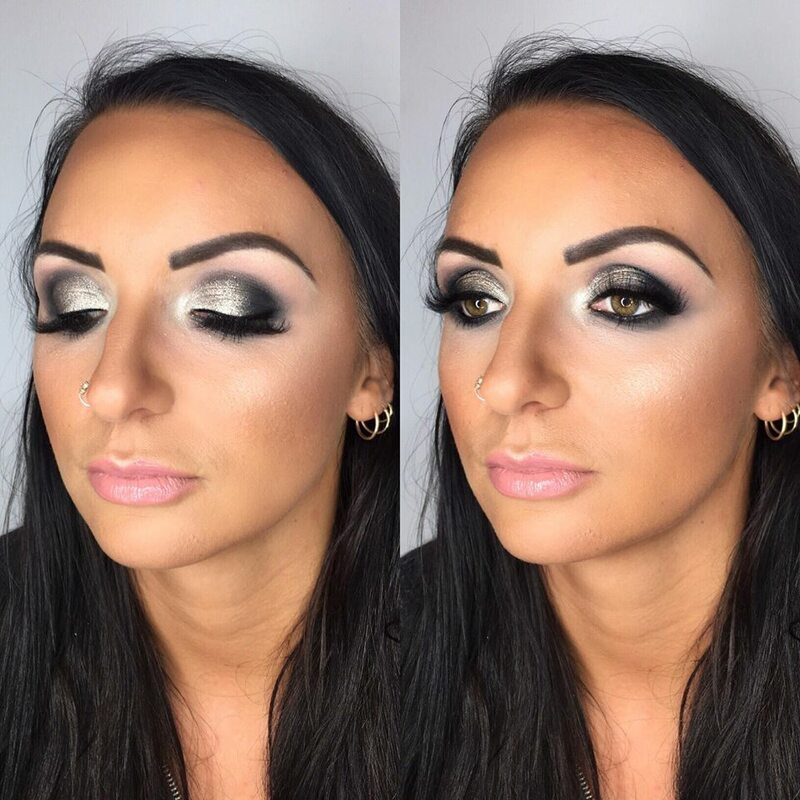 I initially met Christiane when she did a Special Occasion Makeup for me a few months ago and more recently for a makeup lesson. Christiane is a true professional and an absolute perfectionist. I have never met anyone who has quite as much passion for their work. Would highly recommend Christiane for any occasion. Just had a very interesting demo from Christiane with her mother as a willing model. All 20 of our club members aged between 70 and 93 found the demo useful and informative. All off to the shops to replace our old make up and will be trying all the tips before showing off our new glamour tonight at Bingo. 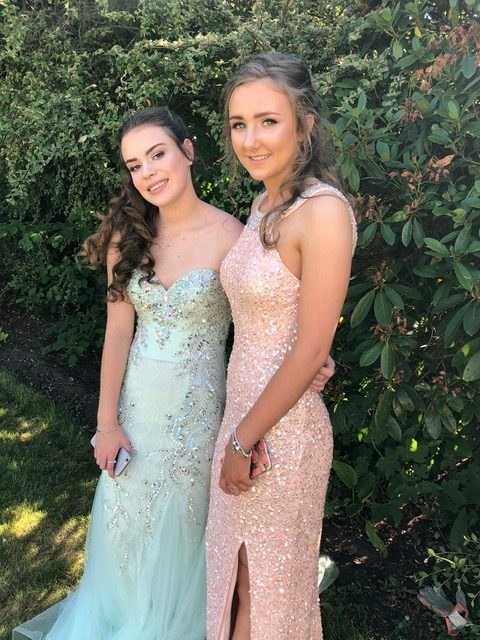 Christiane did my daughters make-up for prom and I cannot thank her enough as she did such a smashing job. My daughter had been let down last minute and Christiane squeezed us in only with a weeks notice. She was very helpful, professional and calming on the prom day. She also listened to my daughters needs. We were both very happy with the result. I couldn’t not take the opportunity to post a review for Christiane. 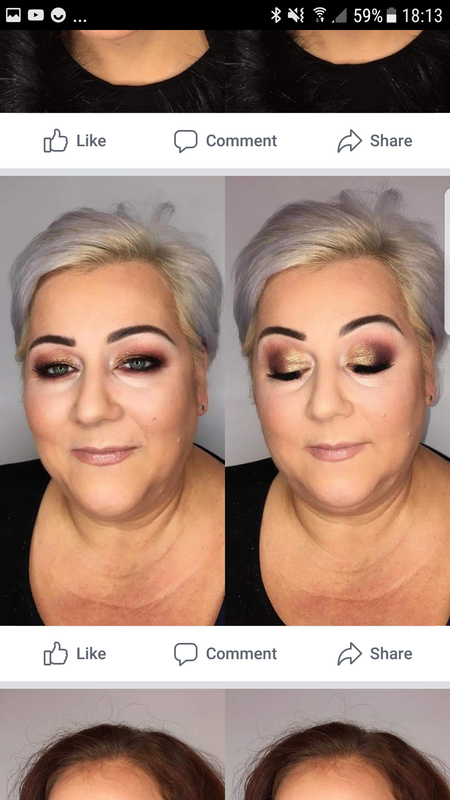 I was devastated to be let down at the last minute by a makeup artist I’d booked for a very special occasion during the week. I’d already heard about Christiane and after seeing her work and all of the recommendations on her website I messaged her to see if she could help. Unsurprisingly she was already completely booked, but Christiane then offered to open up an extra appointment really early in the morning to be able to see me. I really couldn’t be more grateful. 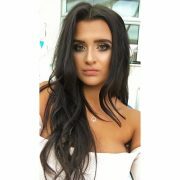 As well as being an exceptional talent, she is so friendly, professional and extremely calming. 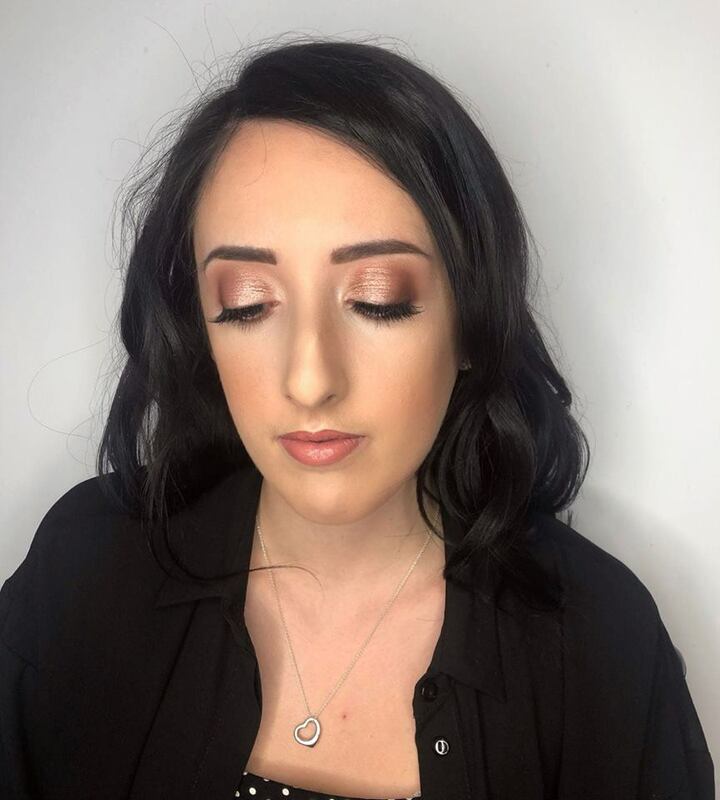 The appointment was so relaxing and everyone thought I looked amazing on the day. Although I was very stressed at the time, I couldn’t be more happy that being let down resulted in me meeting Christiane instead. Couldn’t recommend her enough. Thank you again Christiane. 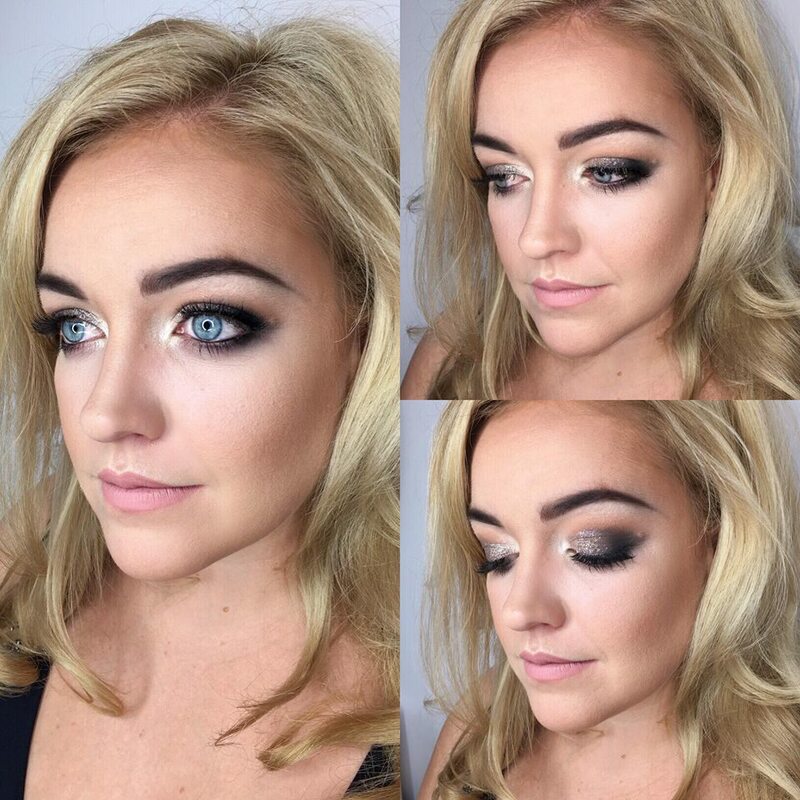 Christiane has done my makeup on numerous occasions and without a doubt is the best makeup artist you will ever find! Not only is she so talented at what she does but she listens to what you want. 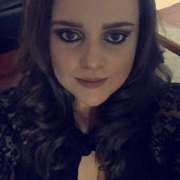 She is very professional but also makes you feel at ease and is extremely easy to talk to! 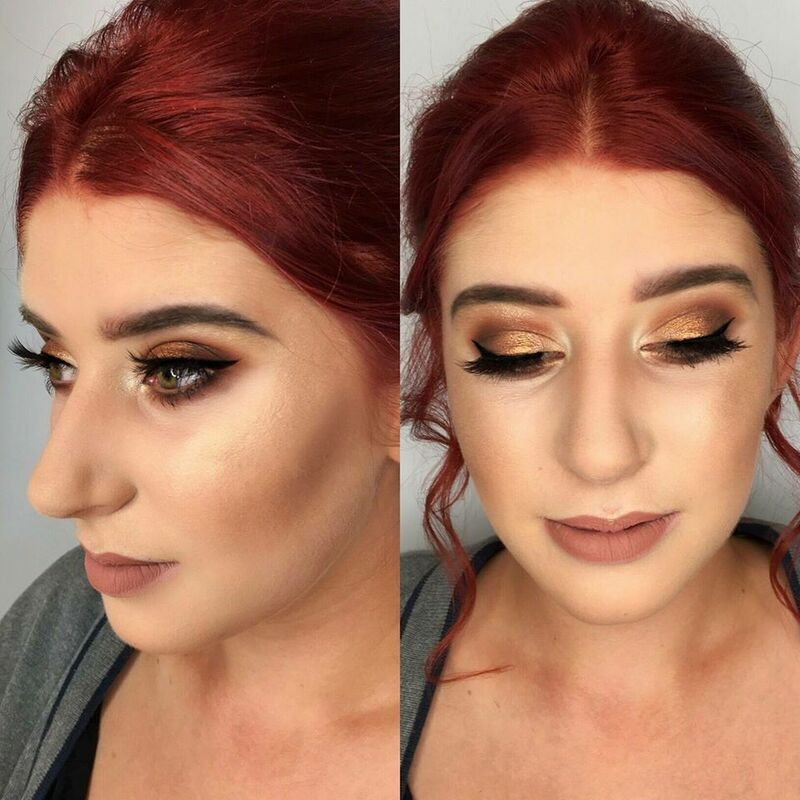 The quality of the makeup is outstanding. She made me look and feel gorgeous. 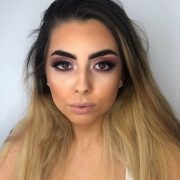 I highly recommend her to anyone that is looking for a makeup artist. 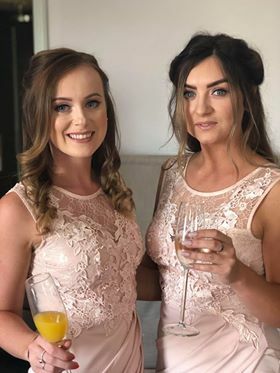 From a night out to a wedding she is your girl! 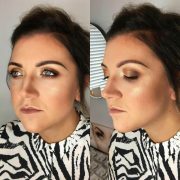 I had been let down by 2 make up artists and found Christiane by a recommendation.. And I can honestly say I think it was meant to be! 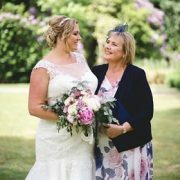 I was so happy with the service from the minute me and my Nan (she loves to come with me) stepped into Christiane’s studio. She was so welcoming, professional and smart. I was given a glass of prosecco.. how much better can a service get! 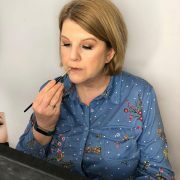 – Every step of my make over Christiane showed me and explained each product she was using and how it will benefit the final look. I have found a make up artist for life and will always always come back. Being a beautician myself I always like to see how to up my game and hands on heart I was shown a truly amazing service by a wonderful lady! 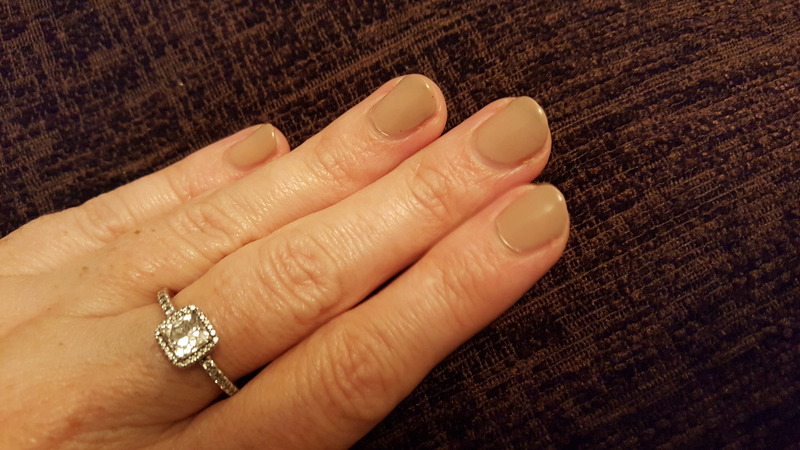 Christiane did a beautiful Shellac Luxury Pedicure for me before my holiday. 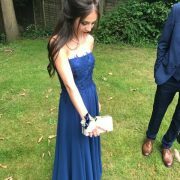 I had to write a review because I was so pleased with it! Christiane is so friendly and professional and recommended a Chrome finish which I had never tried before and I absolutely loved the end result. 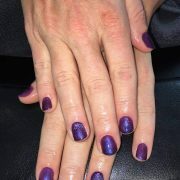 She stocks such a huge range of colours and finishes and is so good at recommending what will look good. I’ll definitely be recommending Christiane to my friends. 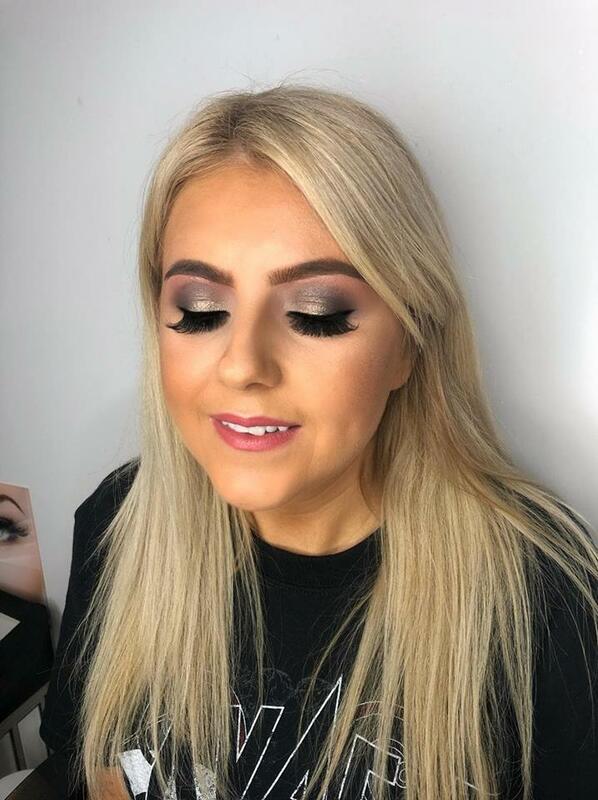 Thank you so much Christiane, I can’t wait for a Special Occasion as I’ll definitely be coming to you for my Makeup as well, your work looks amazing and the appointment really was such a treat. Christiane is such a lovely person, and amazing at what she does!! 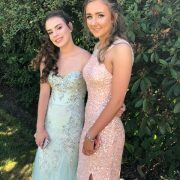 Would 100% recommend her to anyone for any occasion, loved my look so much and everyone else I’ve seen her do also look incredible. Thank you sooo much!! My makeup looked exactly how I wanted and looked really lovely. It also lasted the whole night with no mess, the thing being great about that is I was up dancing, singing and taking photos and it stayed set in place, which was amazing! And having my makeup done was great as Christiane is so nice and sociable! Thank you for everything ? 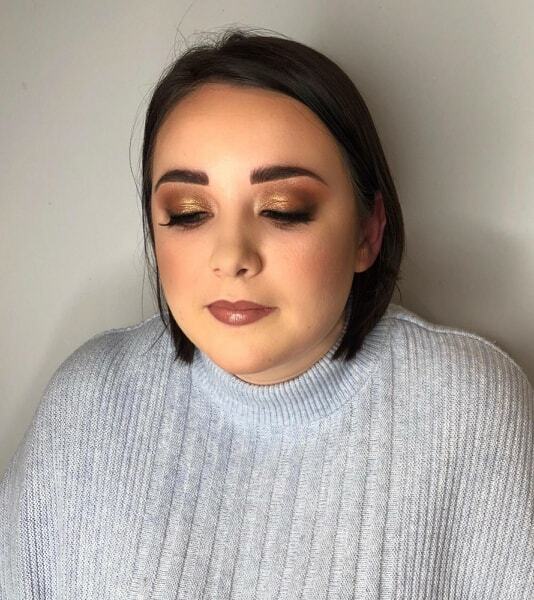 I had my make up done for a friend’s wedding. 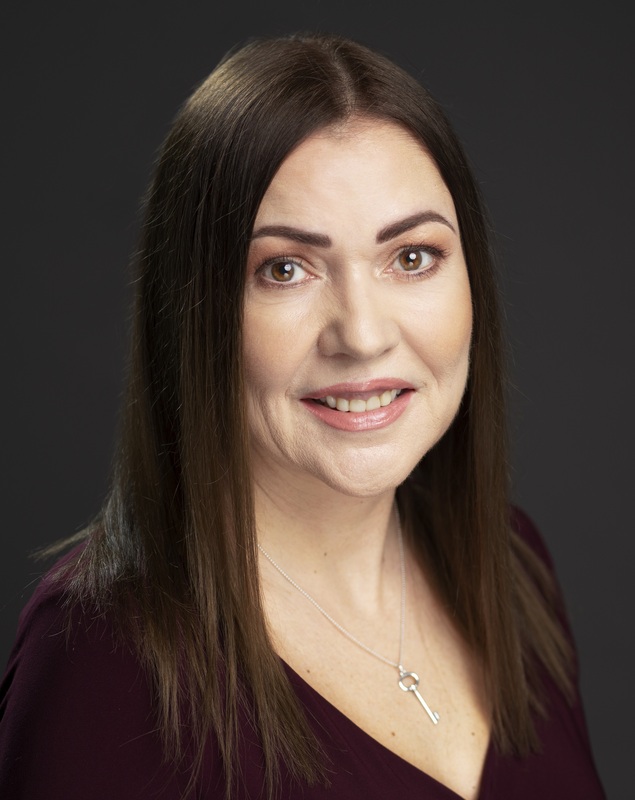 Christiane is a lovely, friendly and very professional person. I’m not great at make up so left colours etc up to Christiane and she did an amazing job. I’ve already booked my next appointment and would definitely recommend her. Christiane was kind enough to do my younger sister’s prom makeup at her Sandhurst studio at quite short notice, and I have to say she was amazing! 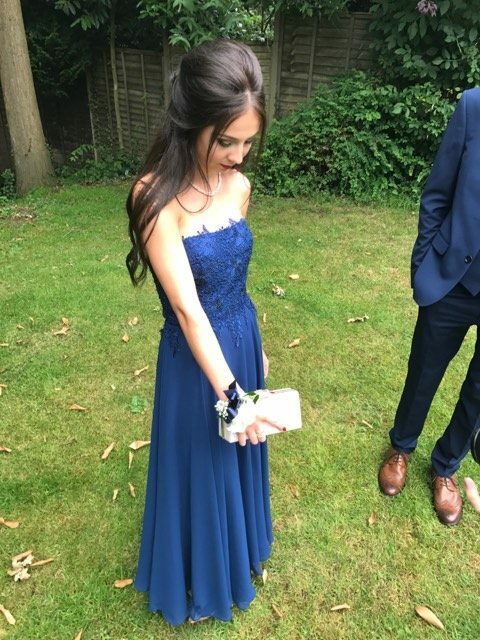 She was so warm and welcoming, and took the time to work out what skin type she had, what colours would suit her tone and even colour matched the glitters and shadows used to the colour of her dress! She genuinely wanted to make sure everything was done perfectly and exactly as my sister wanted. 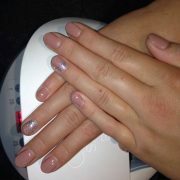 Throughout the appointment she was also explaining new products and giving tips and tricks on how to use them. 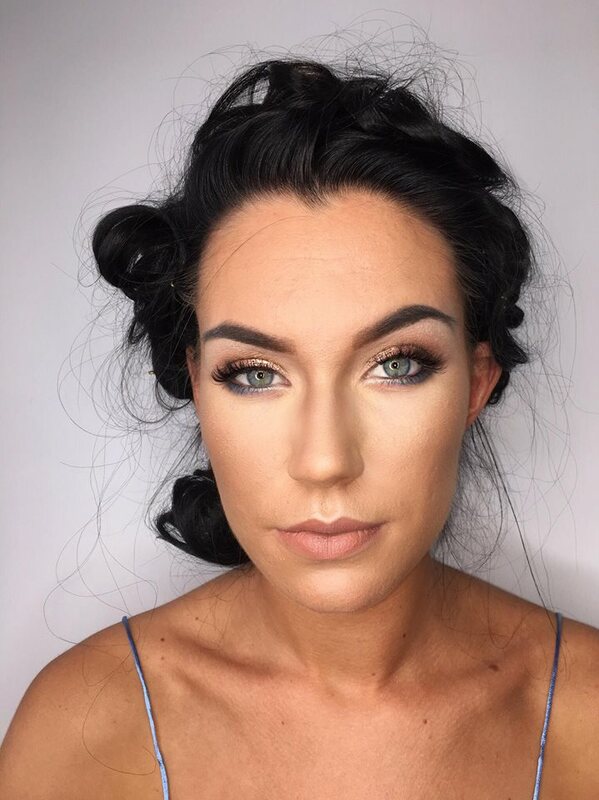 Not only this, the final look Christiane created was absolutely flawless! 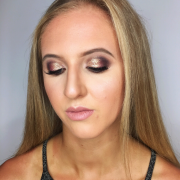 I would 100% recommend Christiane Makeup Artistry for a friendly and professional service and cannot wait to book her again for future events. 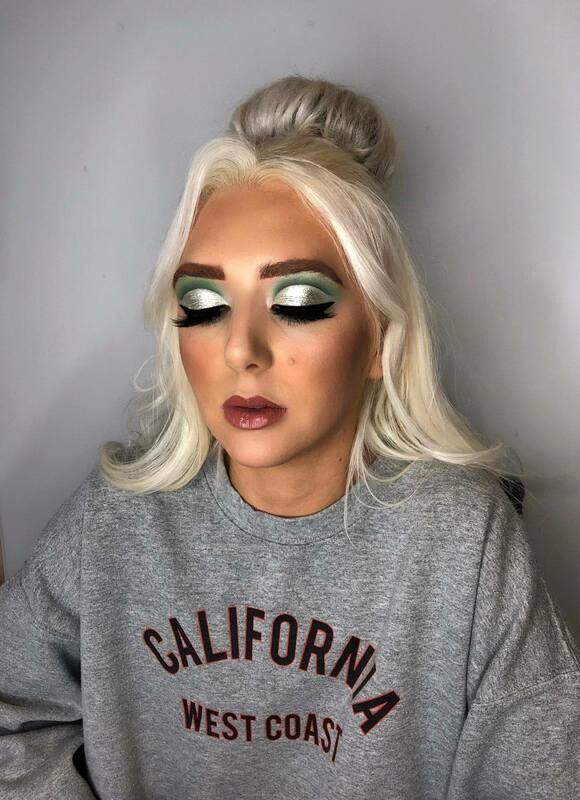 I visited Christiane earlier this week for a makeup lesson. I wanted to find out what complements my skin now that I’m getter older, as my usual way of doing things were way out of date. 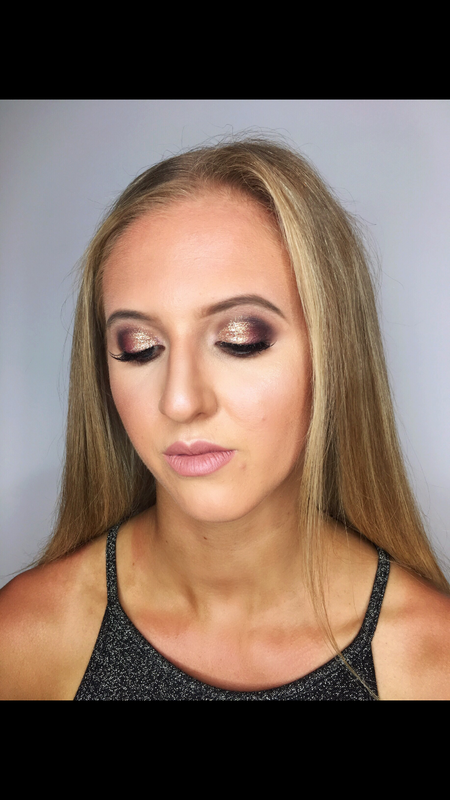 I learnt some valuable techniques and she introduced me to some products I have never been confident enough to try before. Thank you so much for the lesson and I’m looking forward to trying things out at home. Oh my! Fabulous 90 minutes and advice. 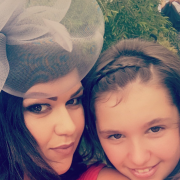 My daughter wanted some make up advice and sooo enjoyed herself. Christiane is a delightful artist whose passion shines through. 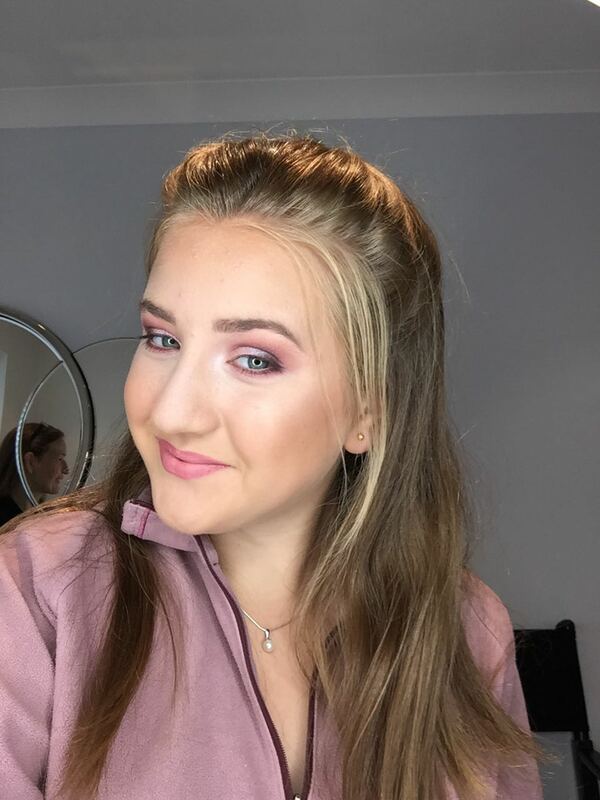 I loved that she wrote down products used and after matching my daughter finally found a foundation colour that suits her. Christiane actually goes out of her way to source products you can’t find and advises ways to get them. Totally 110% recommend. I’m just a bit worried I now have a huge shopping list ? 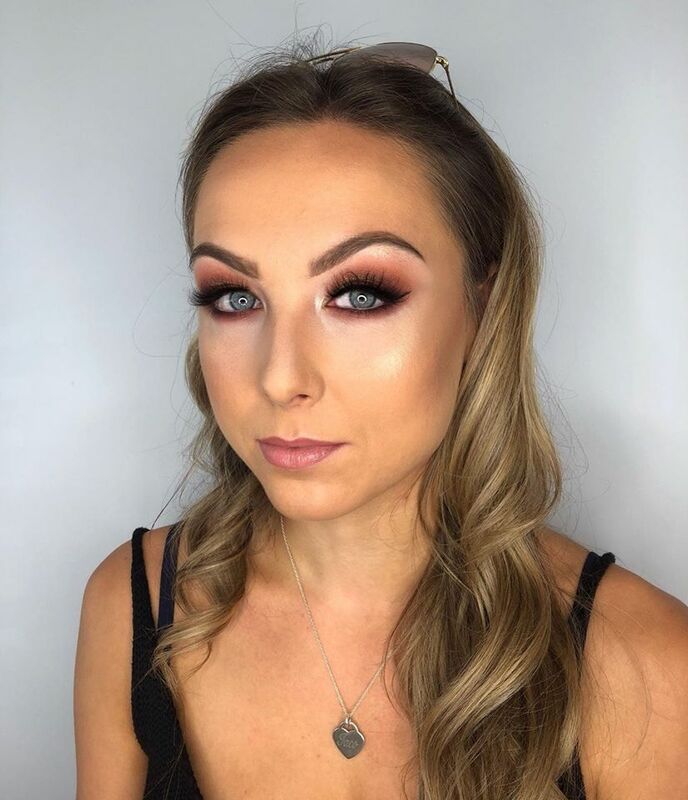 Christiane did my make up for my brothers wedding, what an amazing job she did! I loved it, she listened to my requests and got it spot on. Everyone complimented my make up, so pleased. Looking forward to another occasion now so I can get my make up done again! Christiane came to my flat to do my makeup before I went to a Wedding. She was very professional and friendly. 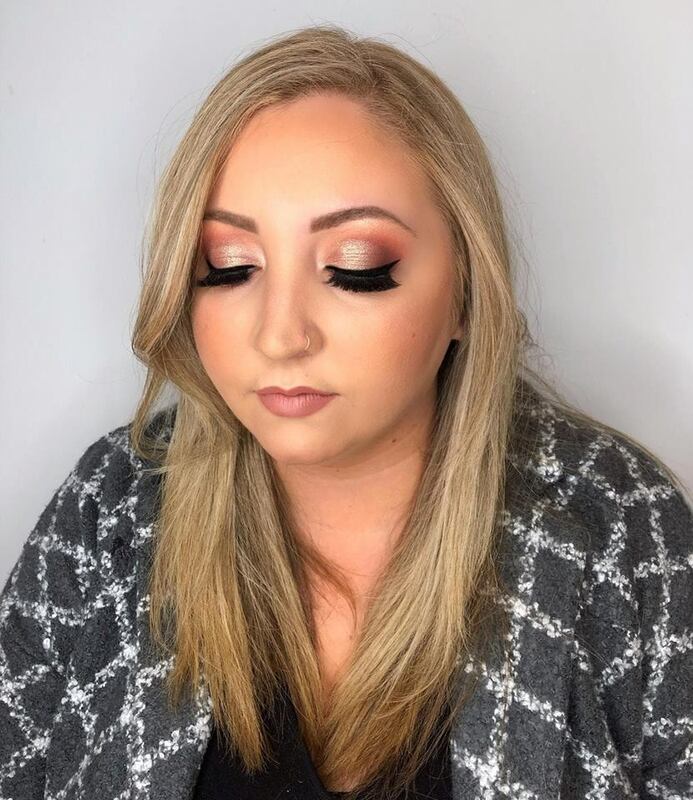 She did a fabulous job with my makeup! Will be recommending her to friends and family. Thank you! 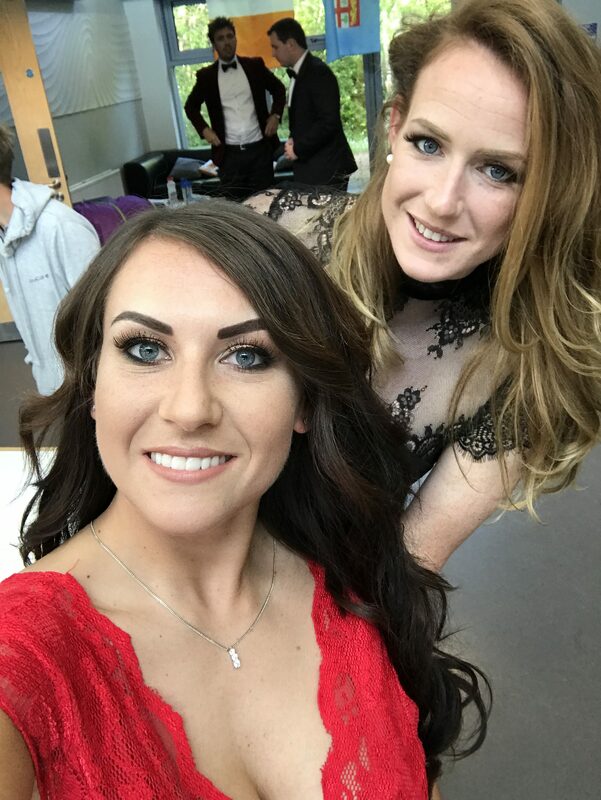 My friend and I had our special occasion make up done by Christiane and I can honestly say it’s the best make up I’ve ever had done. 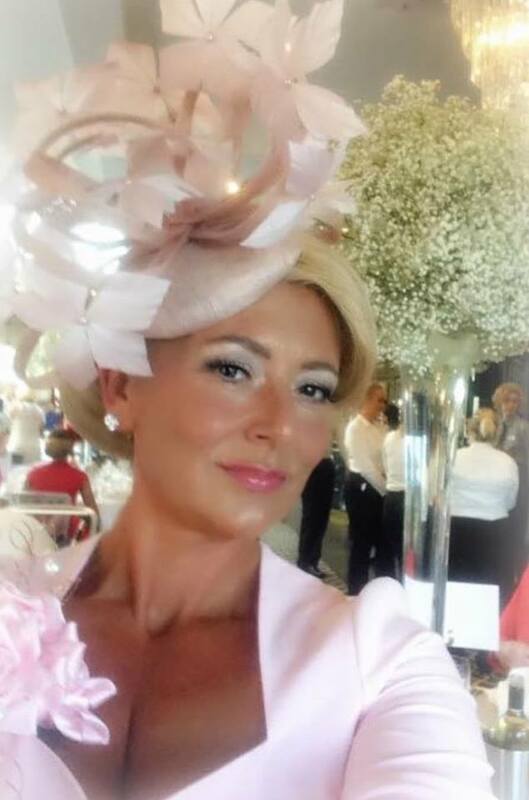 Christiane is professional, friendly and extremely talented. She listened to what we wanted and I looked exactly how I wanted to look. I will definitely be back. Thank you Christiane for making me feel amazing!! Christiane was so friendly and helpful! I learned everything I wanted to and more and received lots of compliments afterwards. 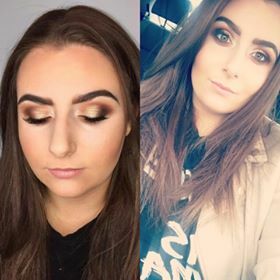 Would definitely recommend her to anyone wanting to improve their makeup skills as she is very knowledgable. 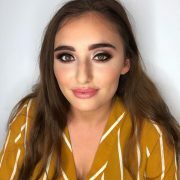 Christiane did my makeup for my 18th Birthday and on numerous occasions since then. It always looks amazing! I highly recommend her. Christiane came to my rescue at very short notice. She was friendly and reassuring with me and took her time to get the look just right. It was a lovely treat and I found that my views were really taken in to account. I received many compliments on the night and will definitely use her again. 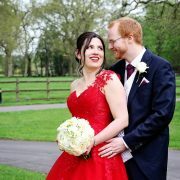 For once my photos were good! I highly recommend. 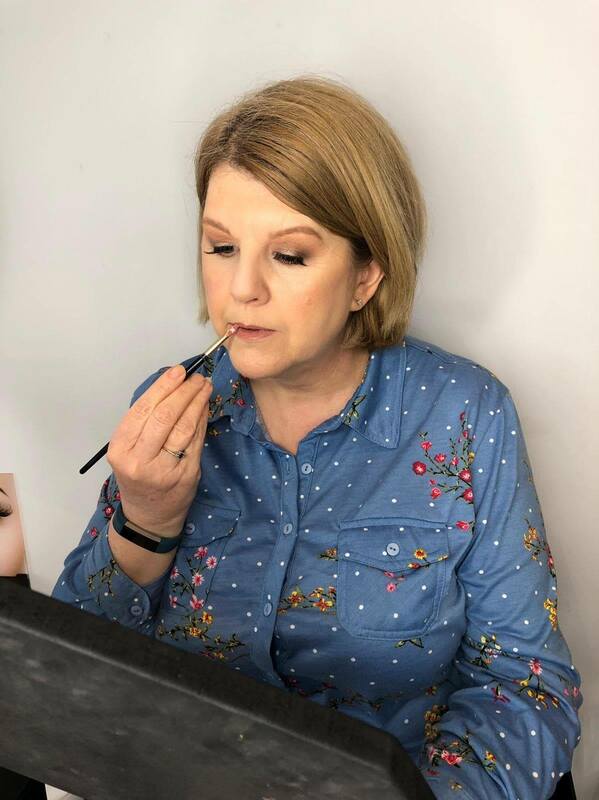 I really enjoyed being Christiane’s model at a Group Makeup Tutorial. Christiane did a great job of talking us through exactly what she was doing, what products were used and why they were important additions to our makeup bags! I certainly learnt a few new tricks for putting on my make-up. 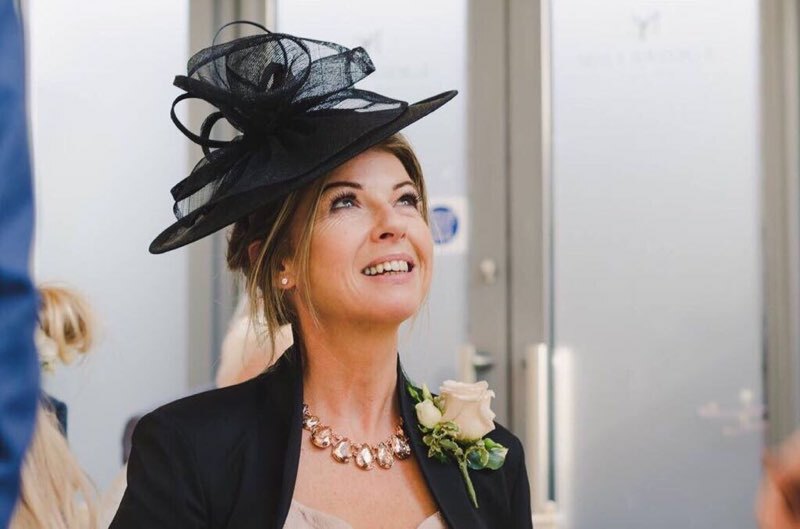 Good luck with your business Christiane and I am happy to recommend you to anyone who is looking for help, advice or a full make-over for a special occasion. 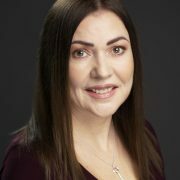 Christiane is professional,friendly and knows what products are best for your skin. 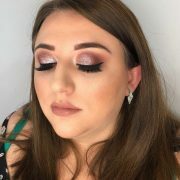 For all things makeup ,whether it’s for an event or a make up lesson ,I would 100% recommend Christiane.I even got compliments on my makeup the day of my lesson which speaks for itself really. 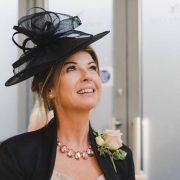 I run a social group and Christiane has run several sessions for us. 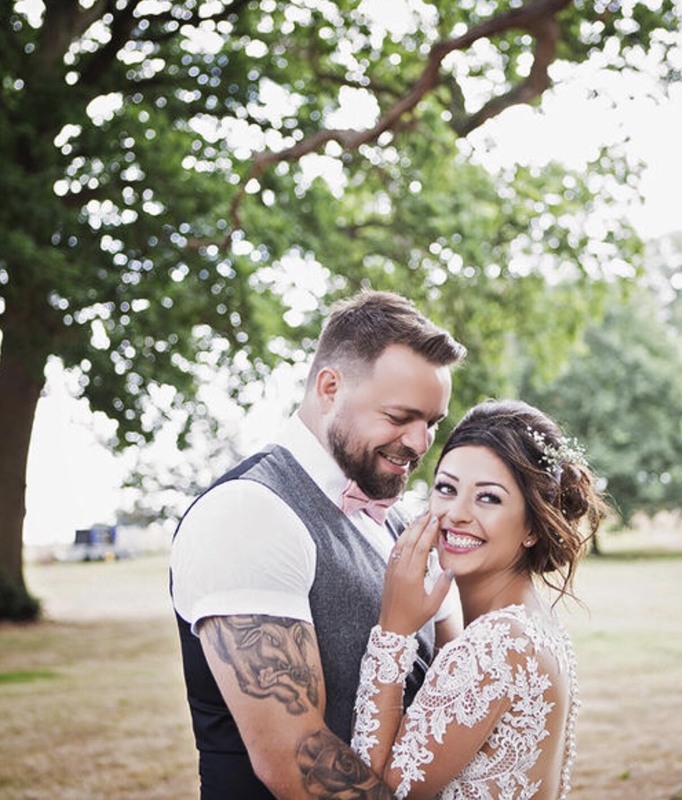 She is professional, knowledgeable and tailors her advice to suit individual requirements. She uses a wide range of products to great effect. Getting a group together is a fun and interesting way to spend an evening, highly recommended! Christiane came to our Ladies Group to give a Make Up Lesson. I must say she was really really good. She gave excellent advice and the make up she applied on one of our number to demonstrate her skills was lovely. 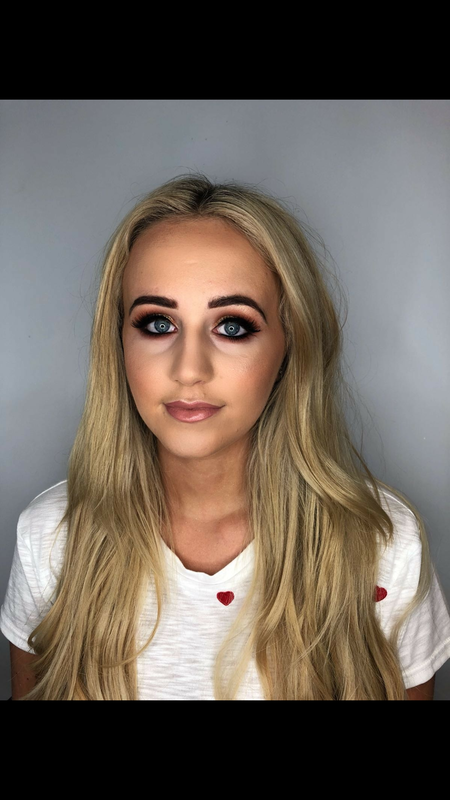 I would recommend her to anyone who was wanting their make up done for an occasion. Also the products she used were high quality. Christiane is a lovely person and so easy to talk to. Thoroughly recommended for all ladies of any age. 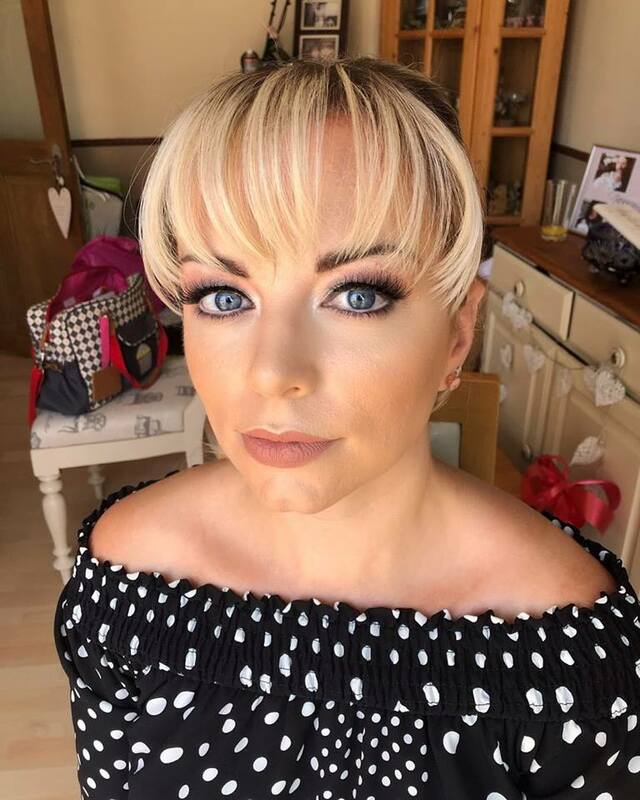 Christiane did an amazing job on my makeup for my 30th birthday party. It lasted all night and looked great in my photos. 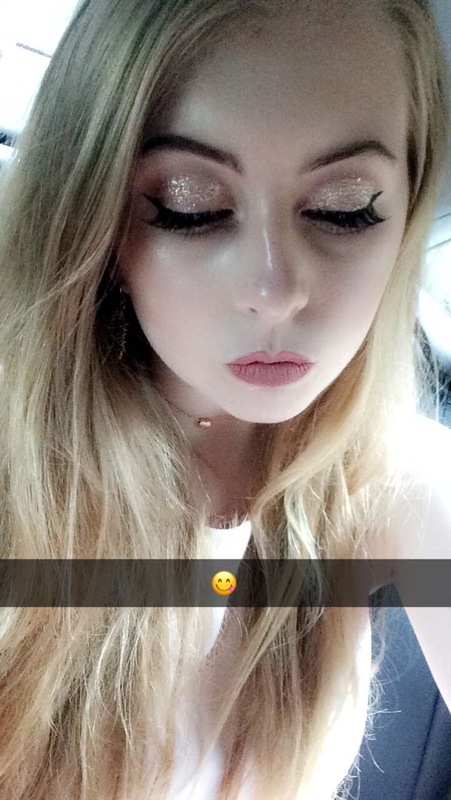 I loved the use of glitter on my eyes. Will definitely be using her again. 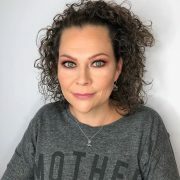 Christiane did my makeup for a special birthday. 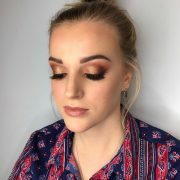 Easy to talk to, really listened to what I wanted and introduced me to some beautiful new makeup products. I was so delighted with the finished look. Highly recommended. I went to Christiane for my Halloween makeup. 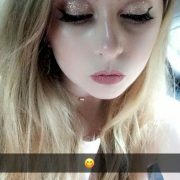 I wanted skull face paint with glitter for clubbing. I was over the moon and went out clubbing in style. All my friends and family commented on how excellent I looked on the night. 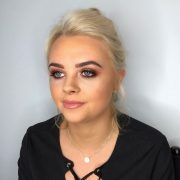 Thanks again Christiane highly recommend for all sorts of makeup events 10/10. 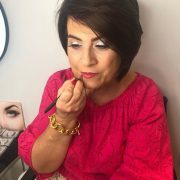 Christiane did a group make up lesson for me and some family & friends at my house last year. Even though there was quite a difference in the ages of everyone attending, we all learnt so much and it was great fun. 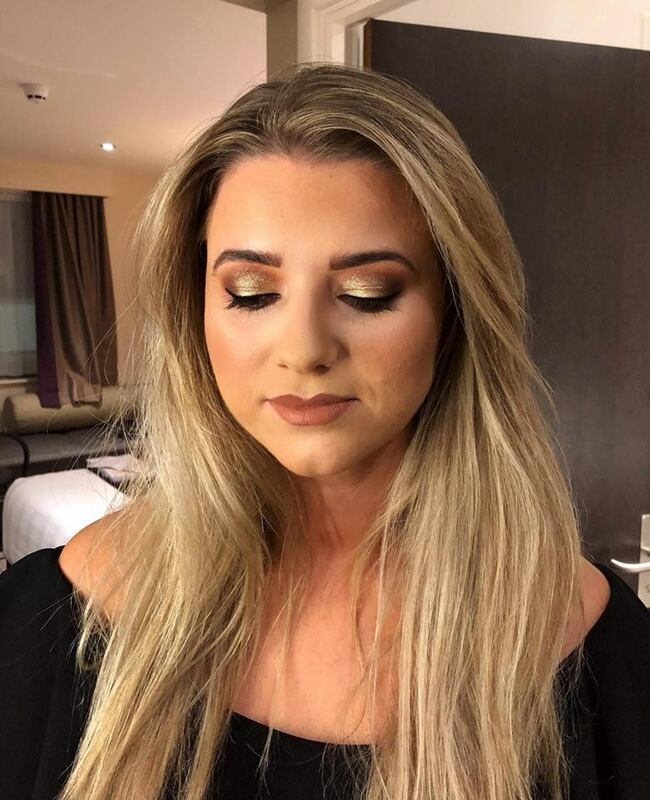 I’ve recommended Christiane to other friends for special occasions and prom make up and they’ve all been really pleased with her work and how relaxed she makes everyone feel. Location Where are you based?